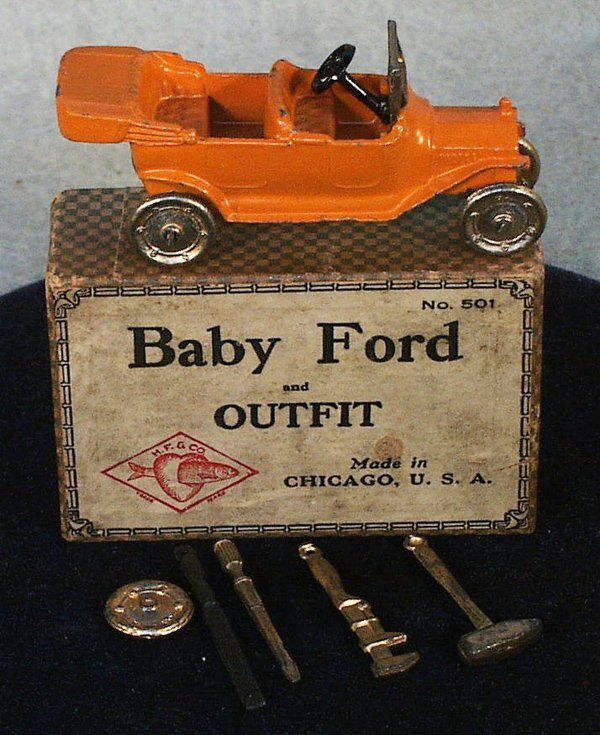 Put your mouse over the thumbnail images to see the picture caption, and click on the thumbnail to enlarge. 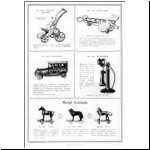 Having ticked off a few highlights of the history of the company in our first instalment, shown a few early precursors, documents, and credited the major sources of information, we can launch into the productlon models directly. 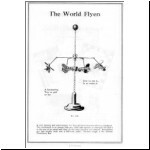 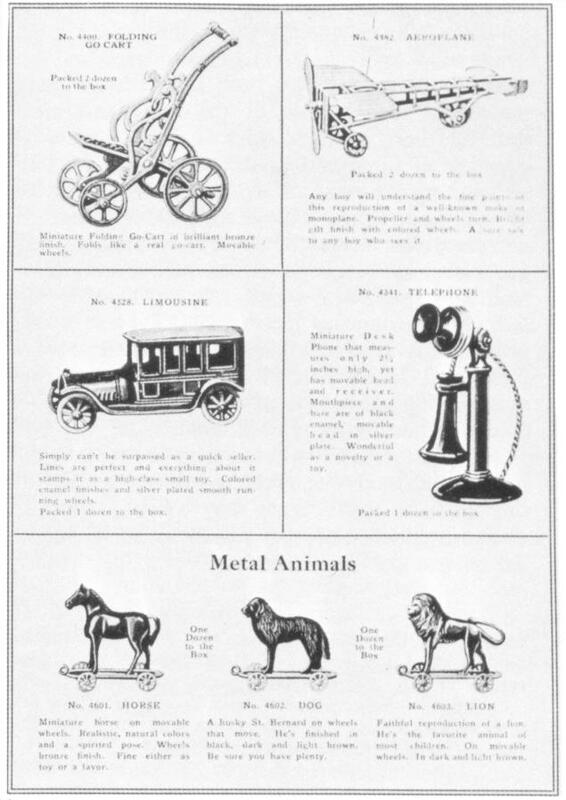 First, we'll recap the three models that made up the total roster of cars in the 1921 catalogue (other than three tiny charms): no.4528 Limousine, 1¾ inches long, with small open-spoked turning wheels; no.4570 Automobile, three inches long, the "well-known Flivver" Model T Tourer, shod with open-spoked wheels; no.4610 Truck, the companion to the Ford open tourer. 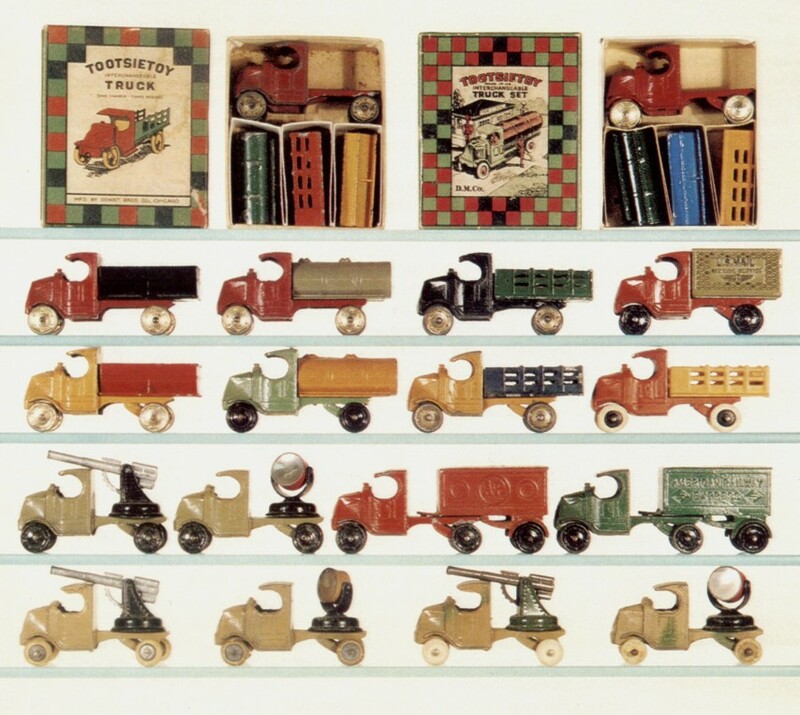 These photos show some interesting and very rare sets. 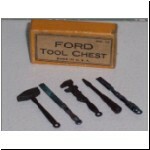 Although not marked, the Ford Tool Chest is undoubtedly by Dowst and probably dates from the early 1920s. 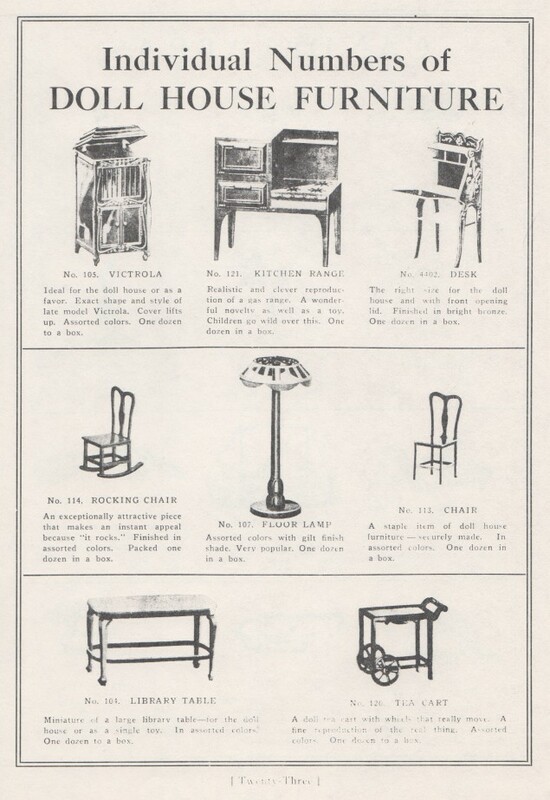 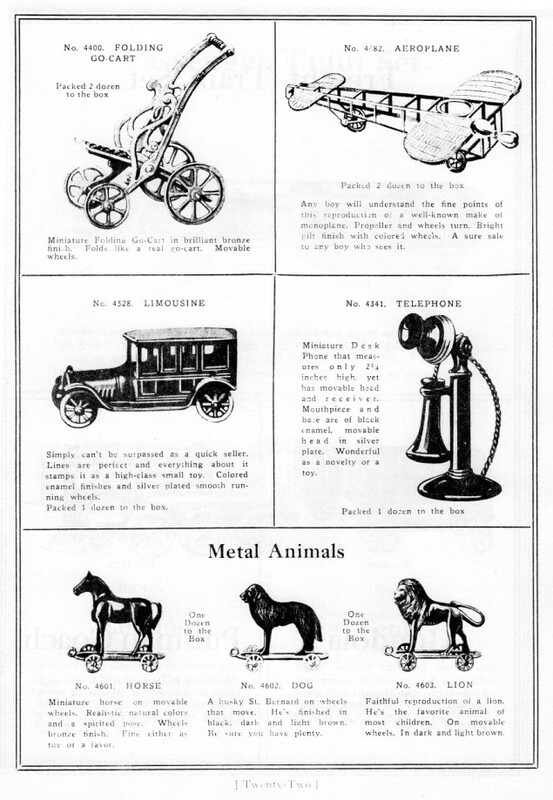 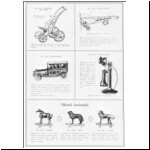 The individual tools are shown in the 1921 catalogue. 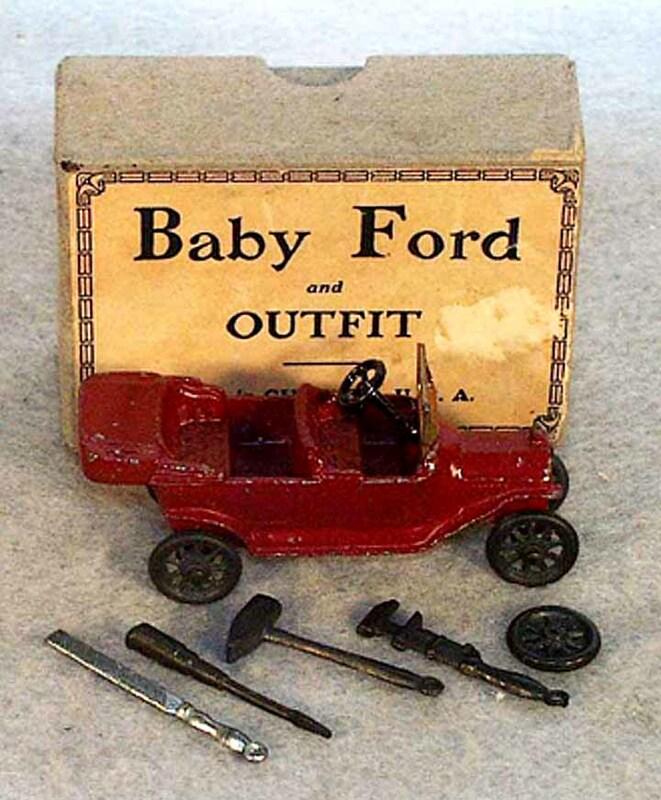 Two versions are shown of the Baby Ford set, with spoked or disc wheels. 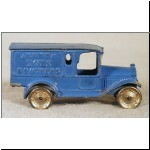 Note the spare wheel supplied! 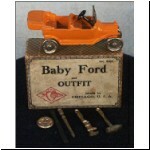 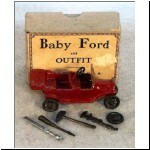 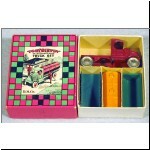 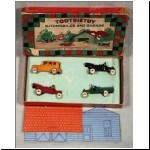 The third Baby Ford set and the Baby Fire Department set carry the trade mark of H.Fishelov & Co., who marketed them. 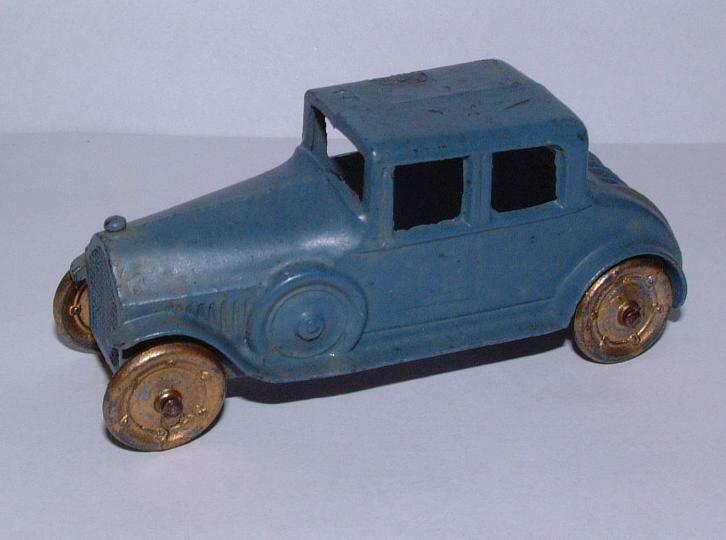 Note also the holes in the bed of the Ford truck to locate the ladder. 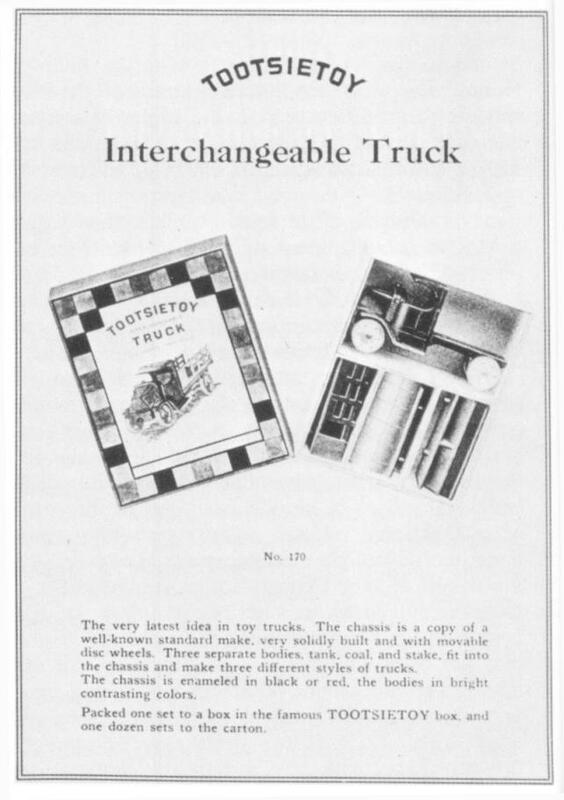 In 1923, no. 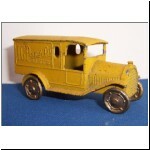 4629 Sedan, known amongst collectors as the Yellow Cab, made its appearance. 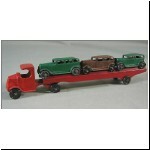 213/16 inches long, it introduced the new disc wheels. 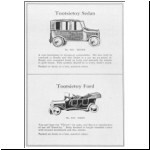 These wheels were then also fitted to the earlier Fords, and were standard on most of the automobiles to follow through 1933. 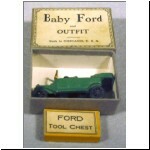 The Fords were finally called "Ford" in the 1925 catalogue, although the Ford Truck had been so called as part of a "Grab Bag Assortment" in 1921. 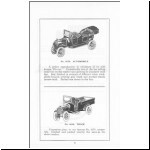 In 1924, the 4636 coupe was introduced, a five passenger job with twin side spares integrally cast and raised stripes down the rear deck. 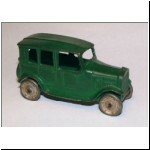 It is generally thought to be a Packard because of the fluted bonnet sides and vertical moulding stripes on the boot (ref.1). 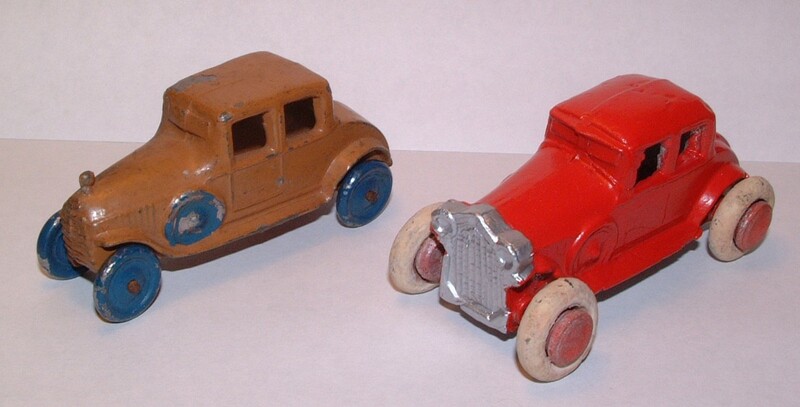 These two toys must be among the most copied in history, as I've chanced upon no less than five different castings mimicking each car (see ref.7). 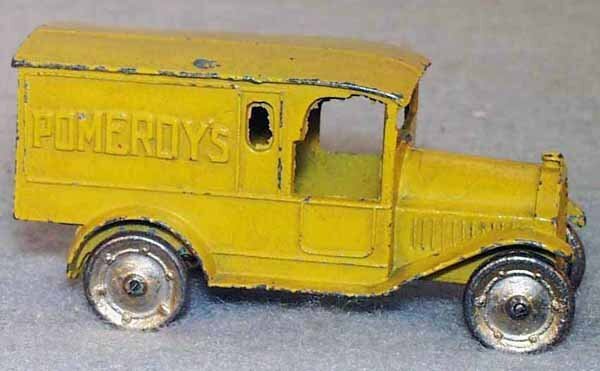 By the time he came to write the 1981 article (ref.2), Clint had found five copies of the Yellow Cab and no fewer than eight of the Packard (not including the modern reproductions by Accucast). 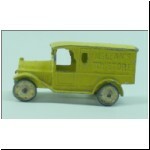 In addition to the four Yellow Cabs pictured here, there is another Pressman version, with smooth windows. 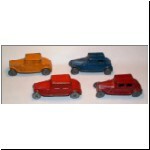 Four Pressman slush-cast Packard coupes are pictured here, and Clint had another die variation of the one with open windows. 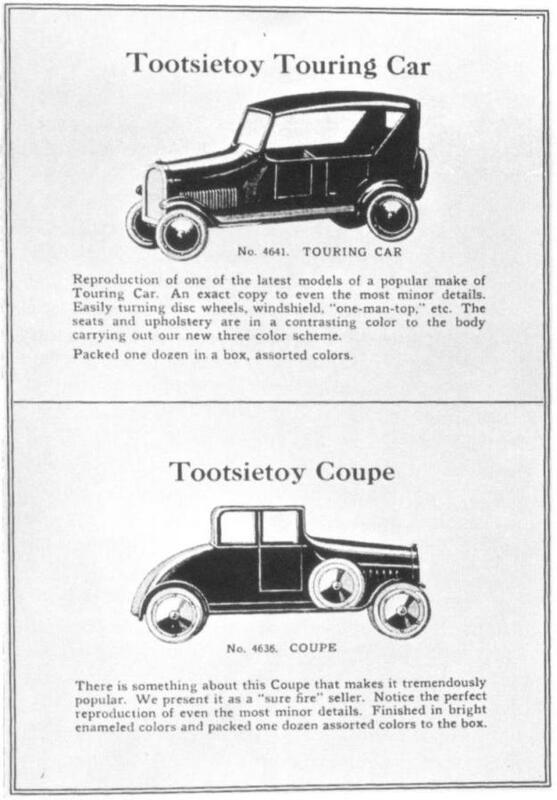 The two diecast versions of the coupe have been attributed to Tip-Top Toy by Richard O'Brien's book (ref.6), but do not carry any maker's name. 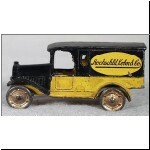 The eighth Packard copy is the slush-cast coupe with headlights in the third photo, now known to be by Savoye (from the distinctive wheels with blind wood hubs), but also shown with painted metal disc wheels. 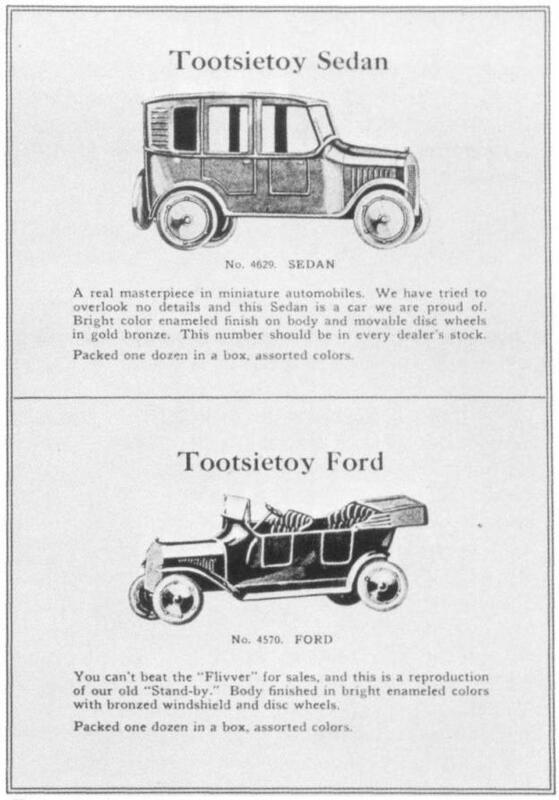 Finally the trade magazine mention of the Mid-West firm in O'Brien's book (ref.6) shows a Packard with Kansas Toy type wheels (see part 1 of this article), one of which has yet to come to light! 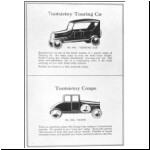 In 1925, the no.4641 closed tourer was introduced, a four door touring car with the top up. 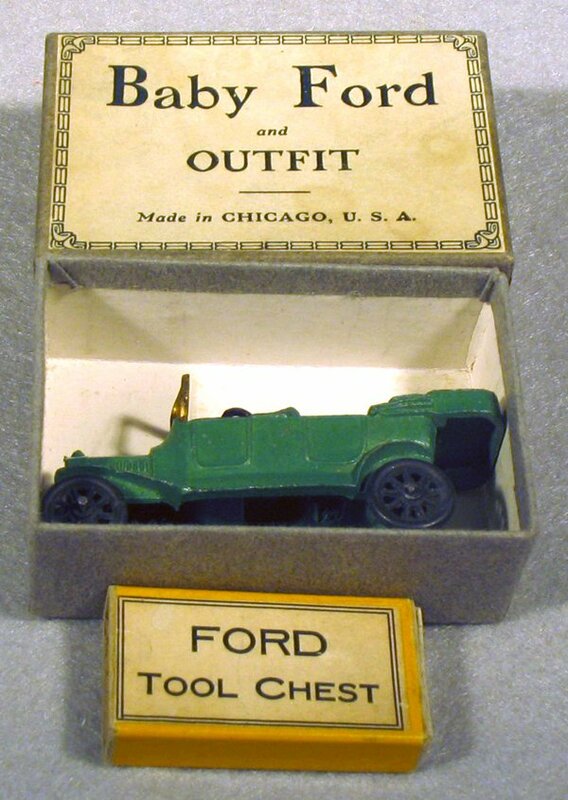 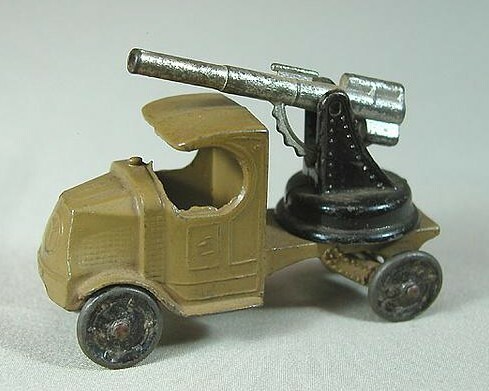 Though the catalogue that year named the Fords and called the Bulldog truck "Mac", they were very coy about identifying the car from which this toy was modelled. 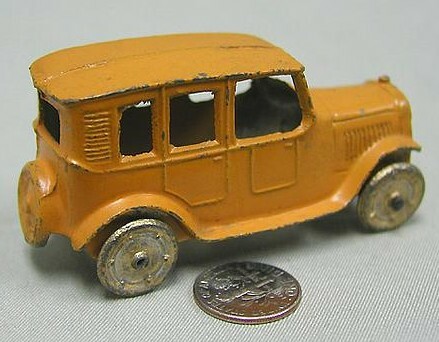 The caption beneath it noted it as a "Reproduction of one of the latest models of a popular make of Tourlng Car. 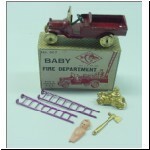 An exact copy even to the most minor details... 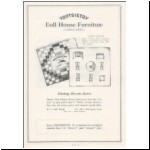 The seats and upholstery are in a contrasting color to the body, carrying out our new three color scheme". 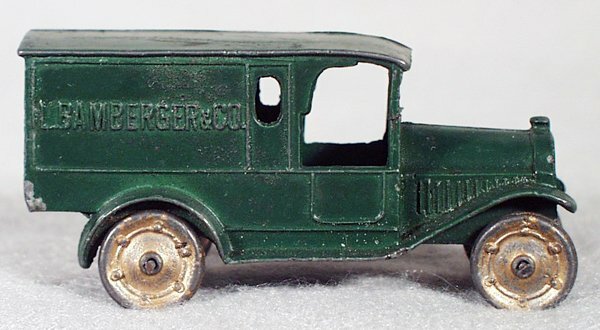 The second inner casting of seats and upholstery was dropped because of assembly problems, and the model was never released with an interior. 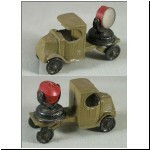 lt is the first Tootsietoy to show headlamps and cowl lights. 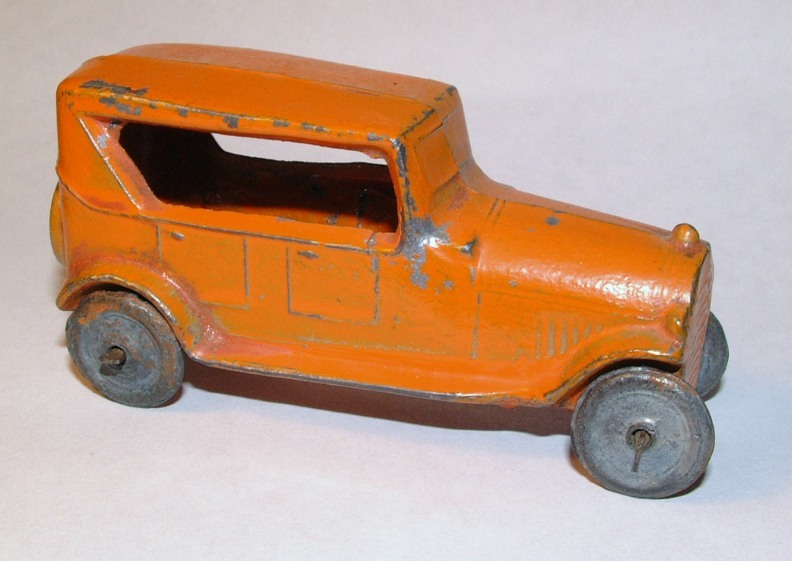 Also pictured is a rare Pressman slush-cast copy of the Touring Car (note the solid windscreen). 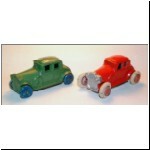 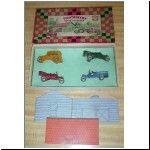 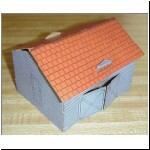 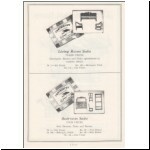 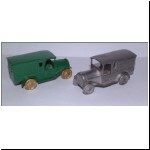 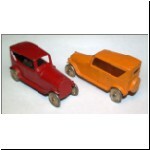 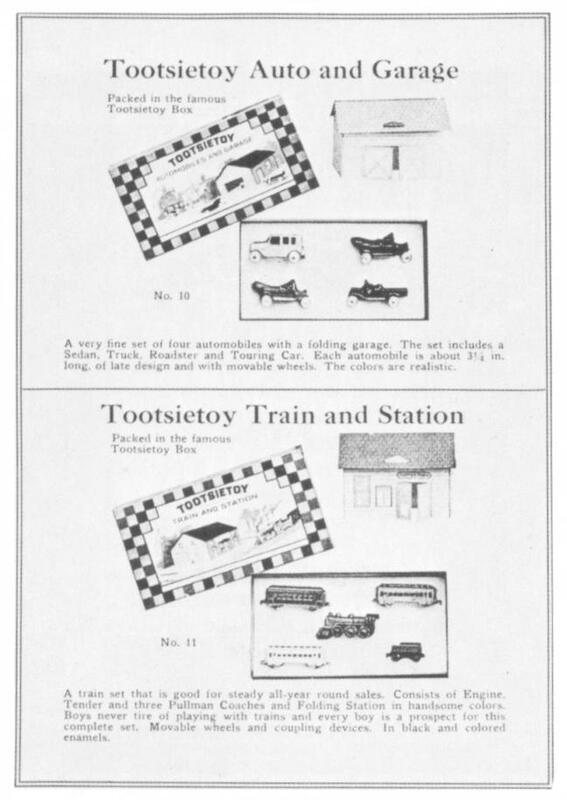 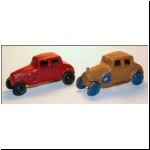 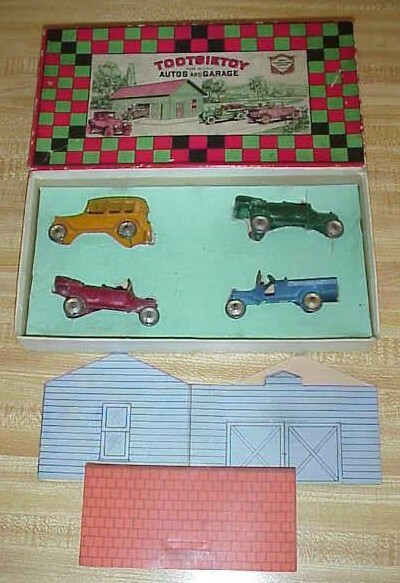 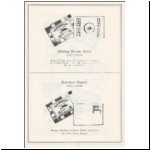 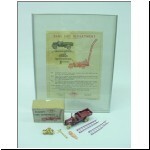 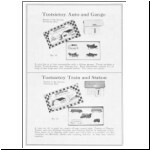 Two box variations are shown of the no.10 Automobiles and Garage set. 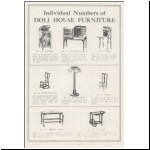 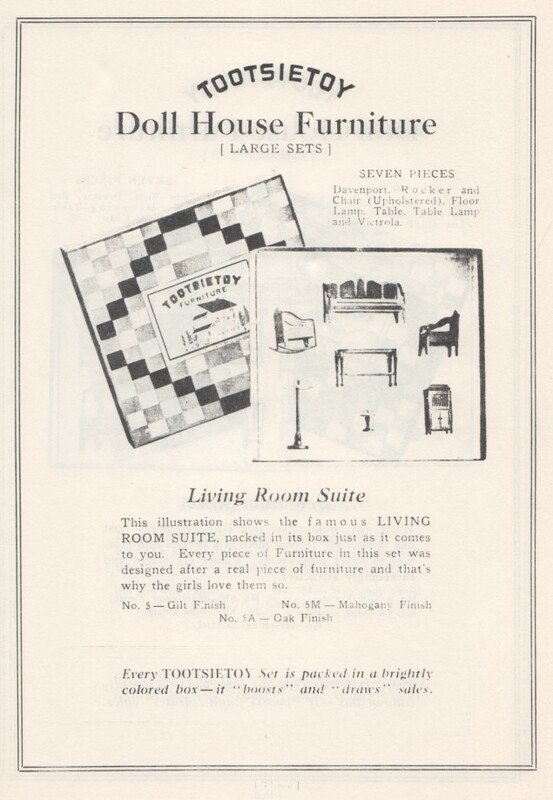 The earlier version is in the 1925 catalogue. 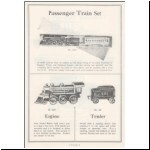 This is the no.11 Train and Station Set also shown in the catalogue. 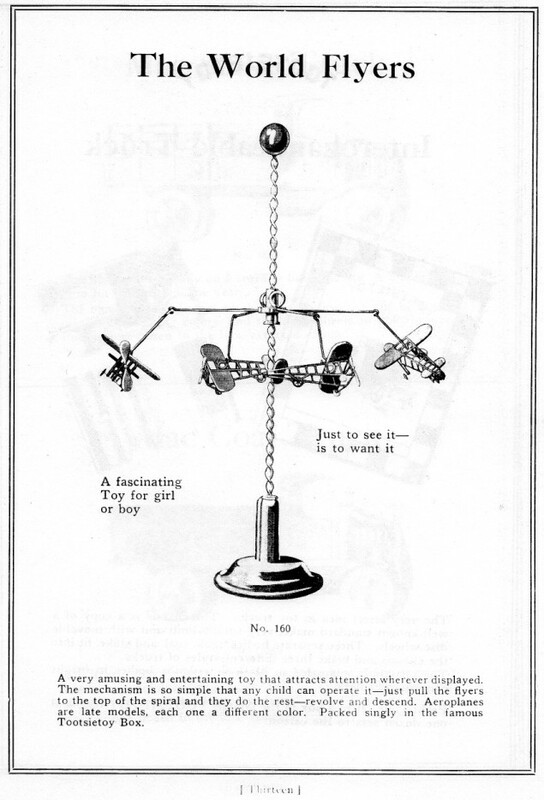 Note the two different versions of page 22, with the Bleriot plane facing either left or right. 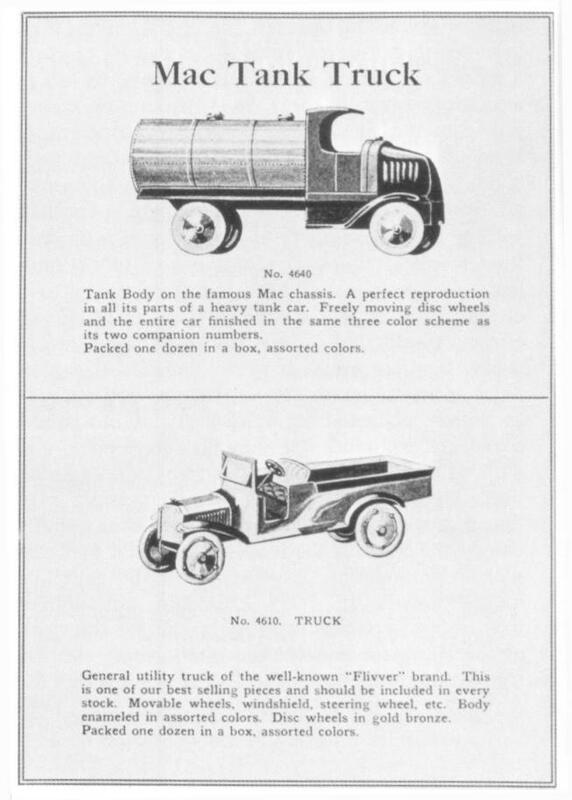 It is not clear which was the earlier version. 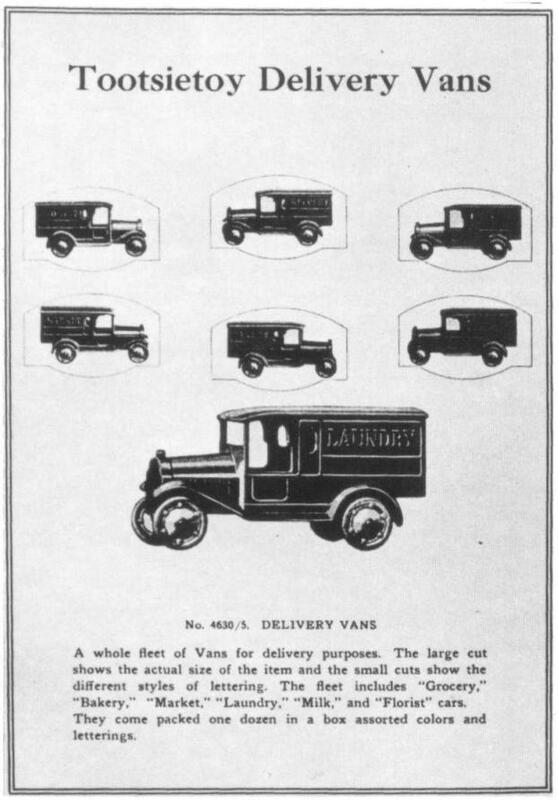 A set of six vans (nos.4630-5) was introduced in 1924, 27/8 inches long, in various colours and marked on the side panels: GROCERY, BAKERY, MARKET, LAUNDRY, MILK and FLORIST. 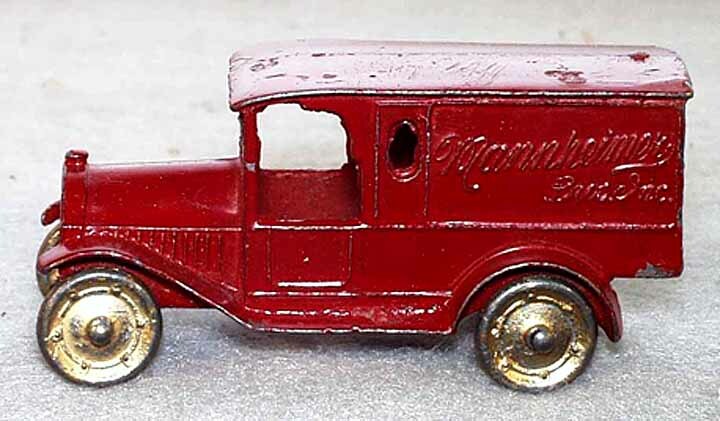 These are generally referred to as Federal trucks by collectors, but could have as easily been Packards. 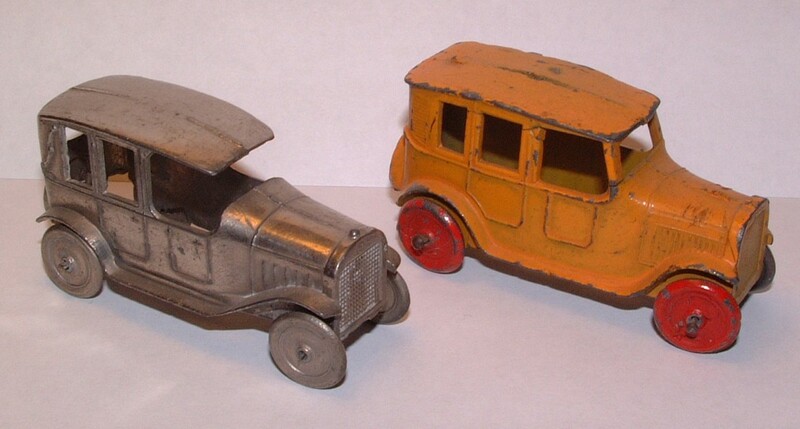 These very attractive little models are quite scarce today in any version. 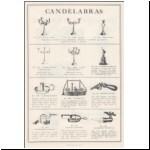 They were all cast from the same die, with inserts used to cast in the different names. 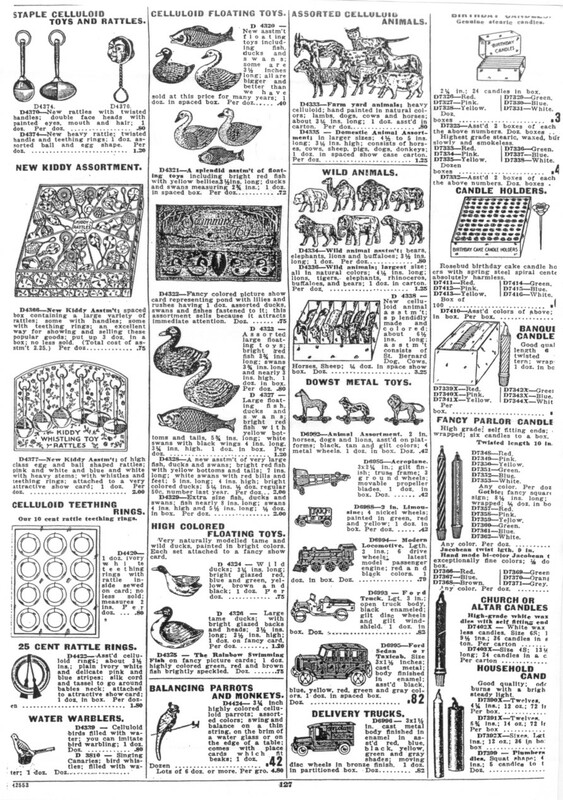 Some of these inserts must have endured longer than others, as MILK is the easiest to find today, and FLORIST far more scarce. 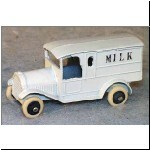 At least the MILK version was still in stock in 1933, when it was available with small rubber tyres on metal hubs. 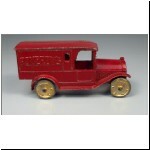 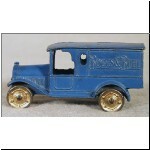 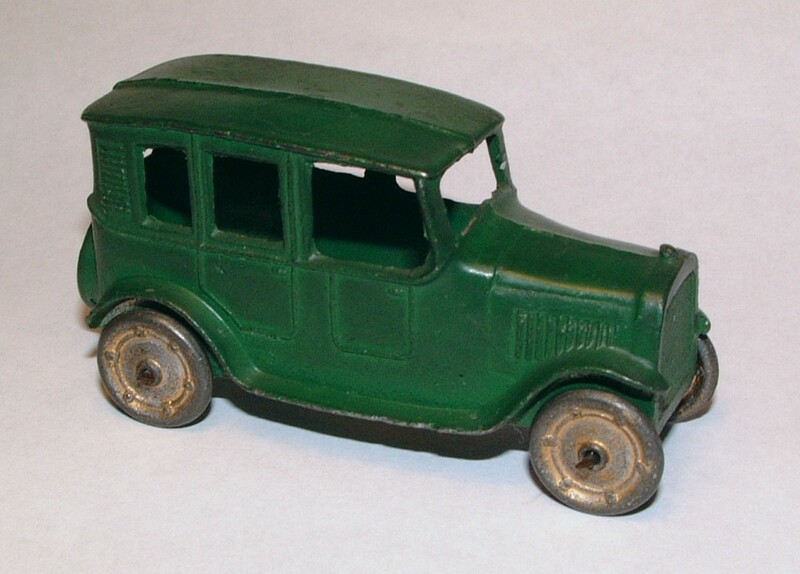 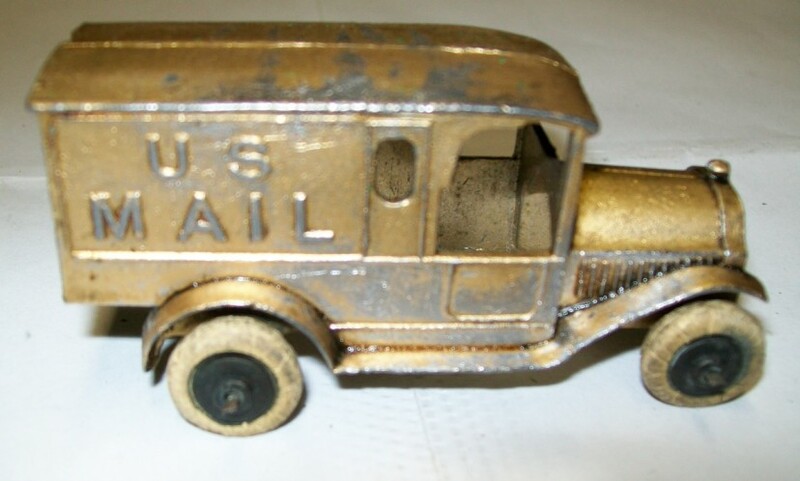 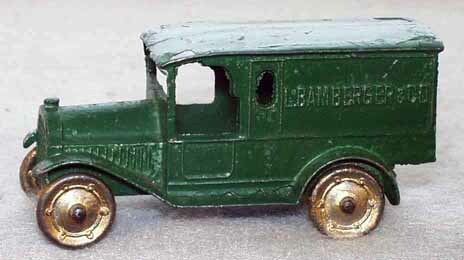 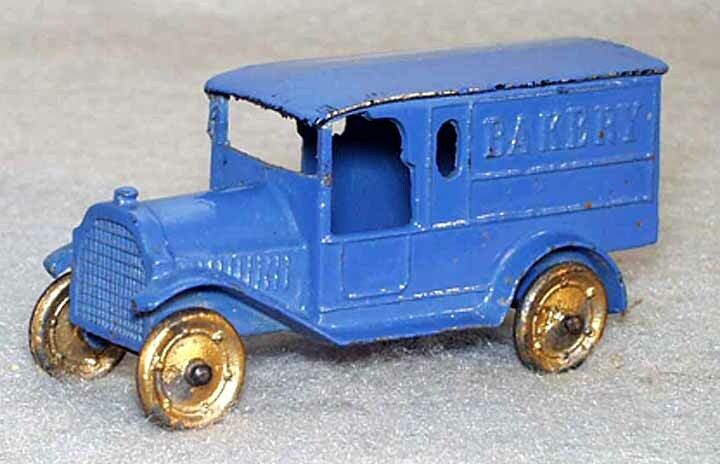 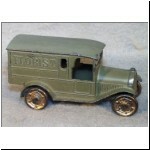 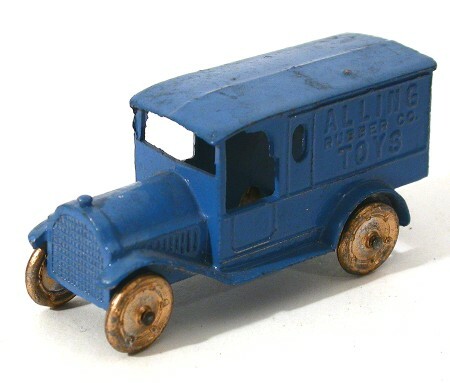 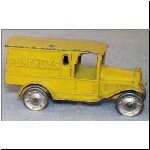 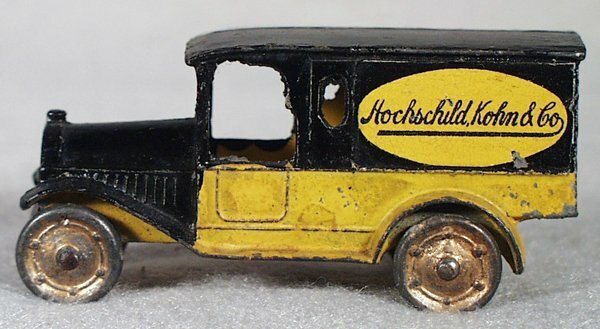 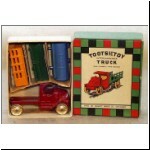 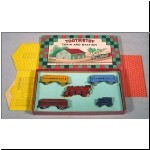 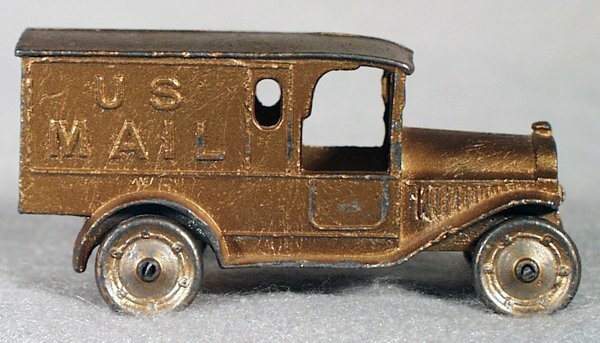 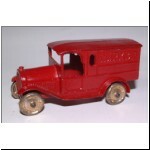 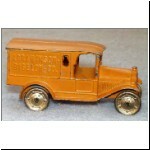 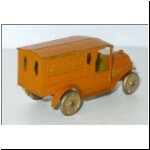 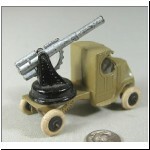 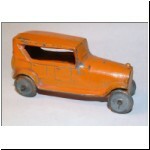 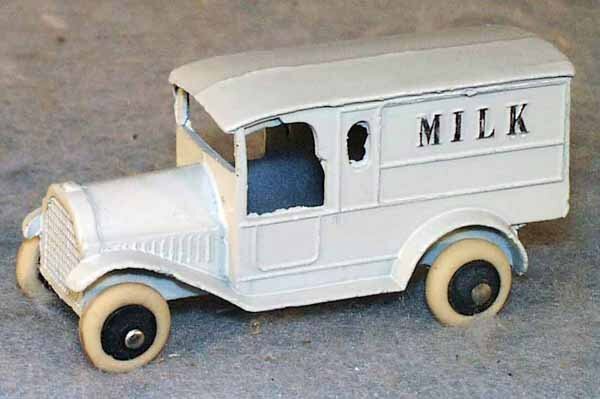 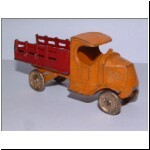 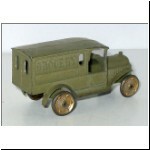 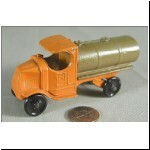 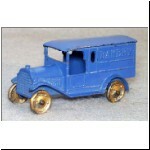 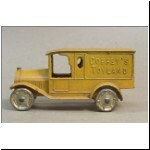 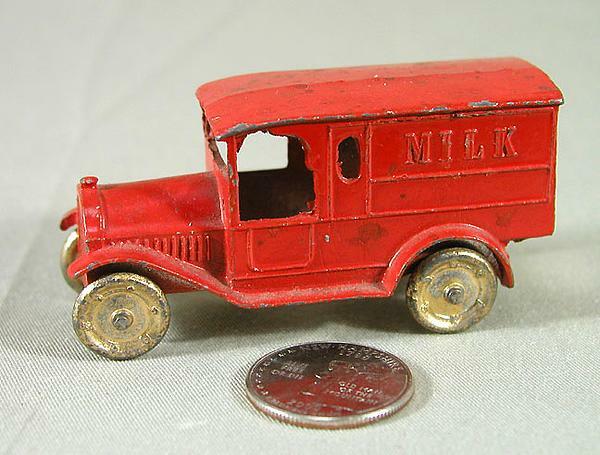 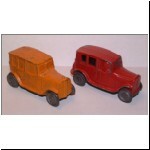 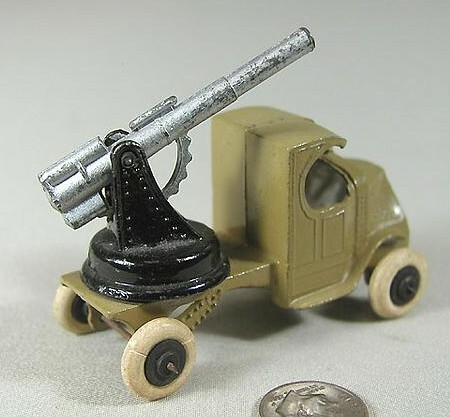 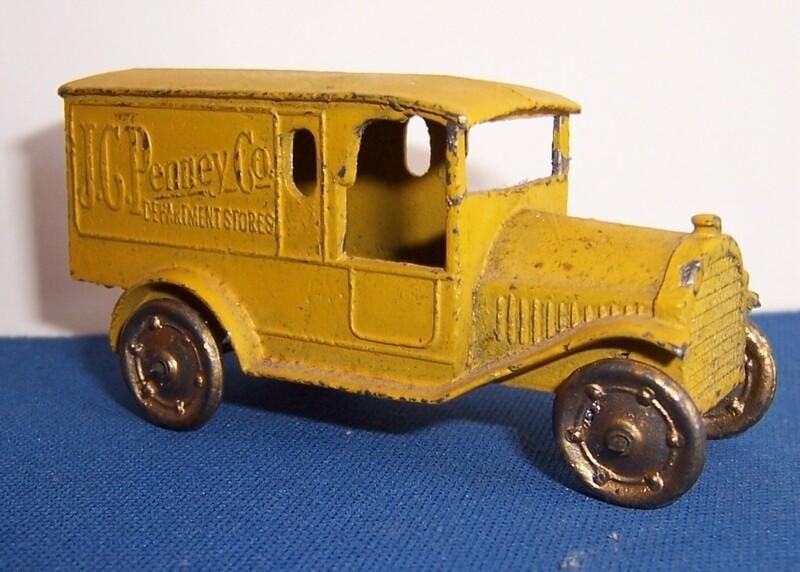 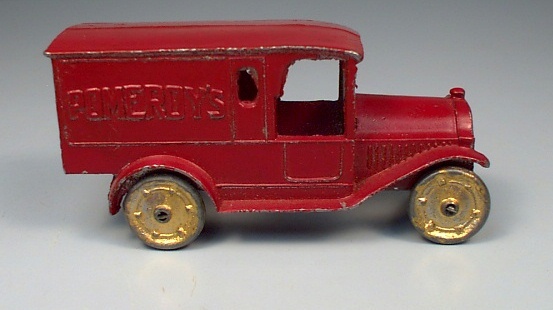 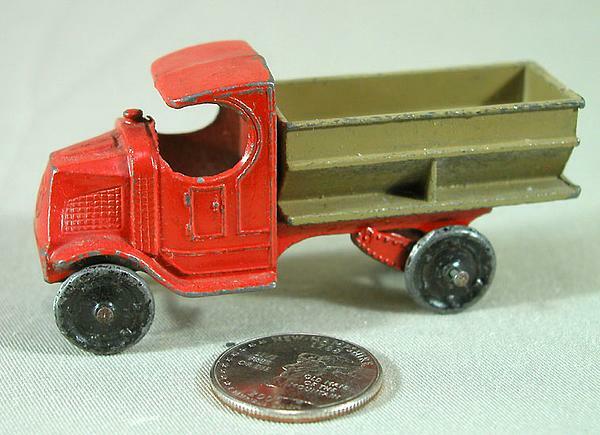 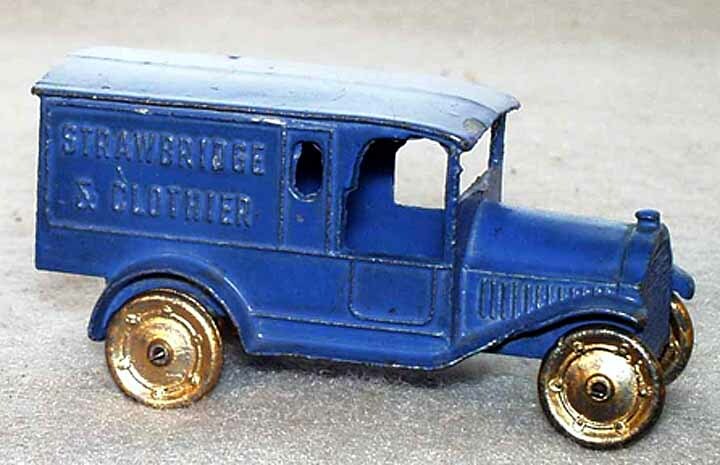 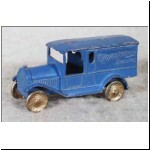 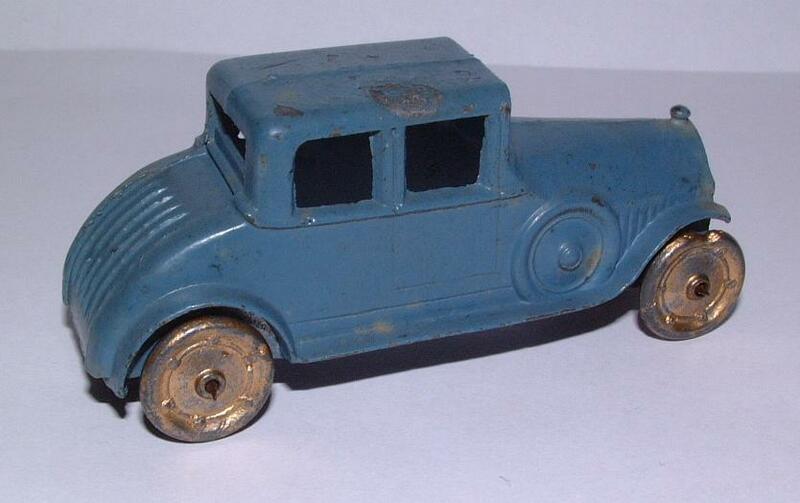 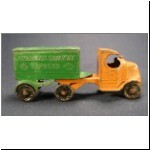 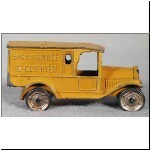 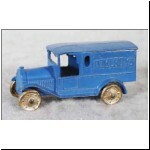 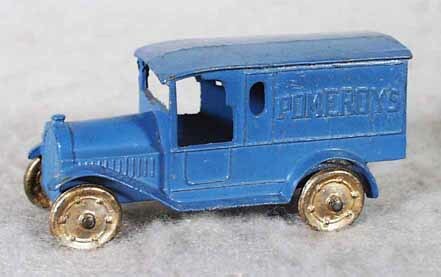 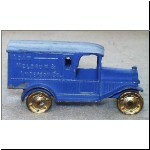 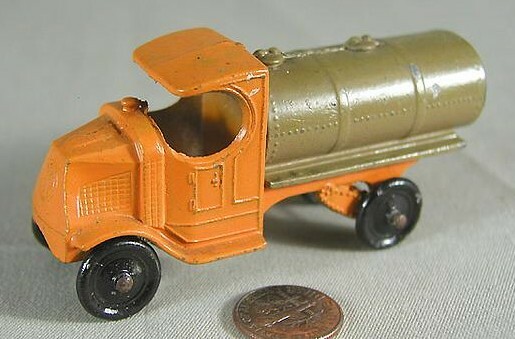 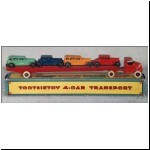 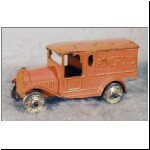 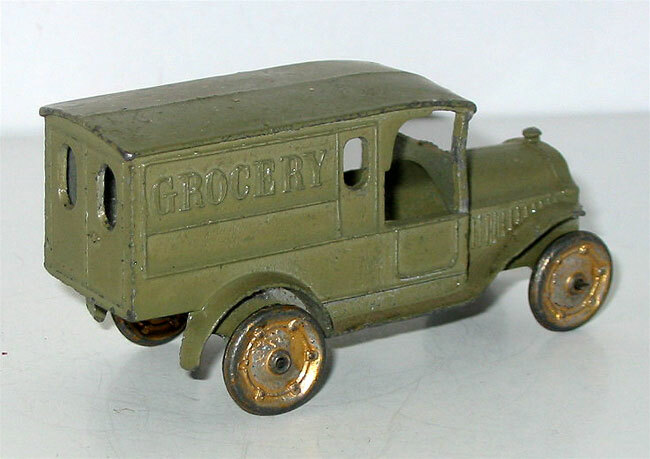 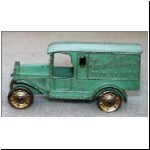 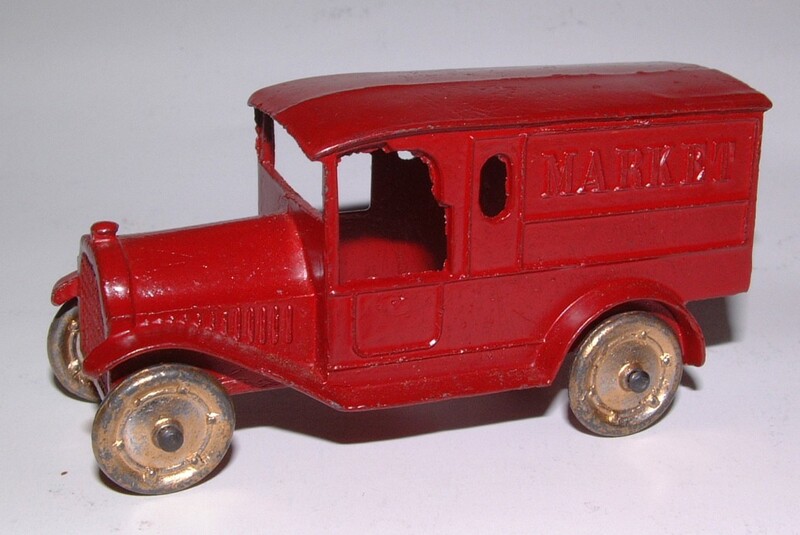 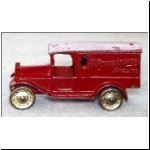 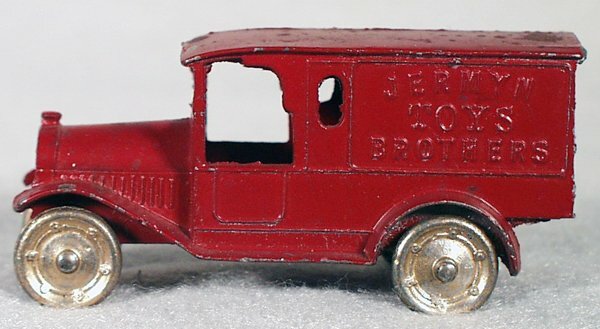 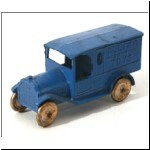 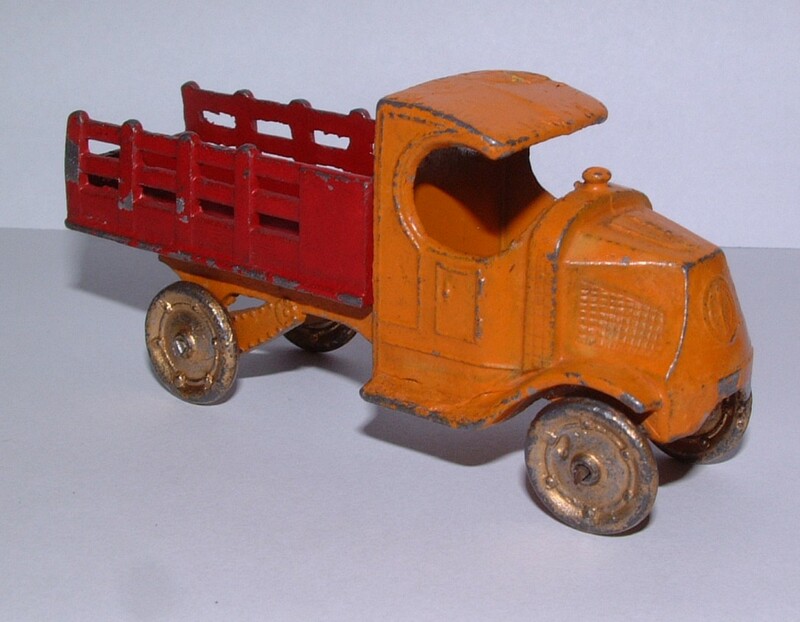 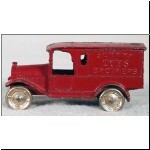 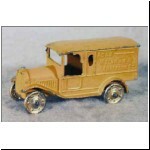 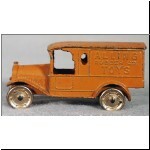 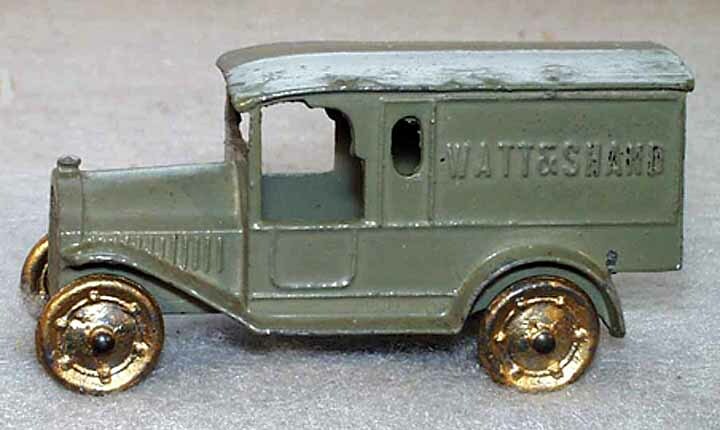 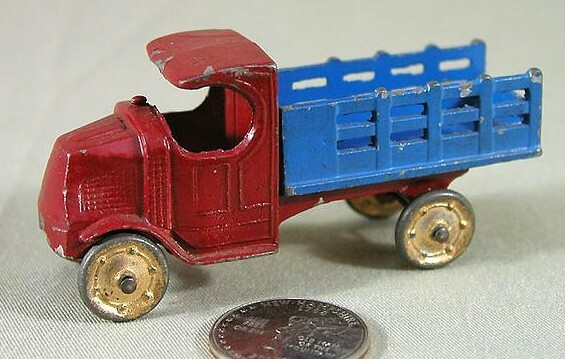 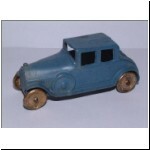 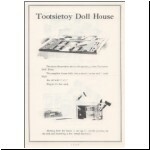 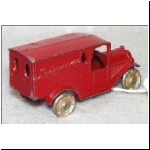 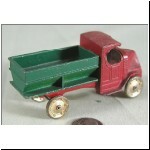 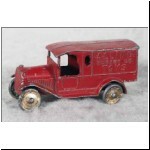 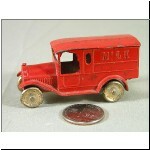 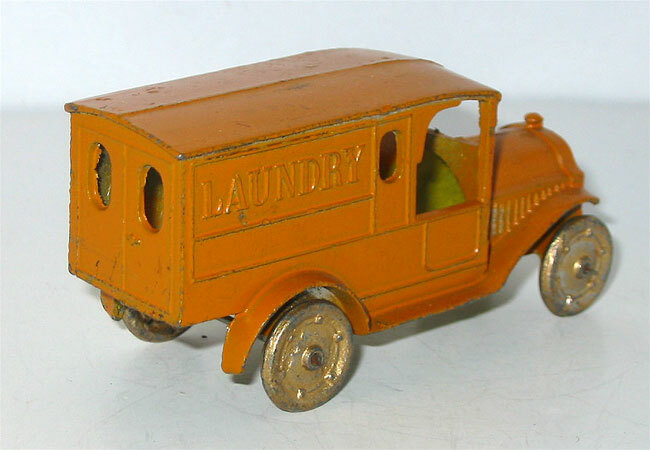 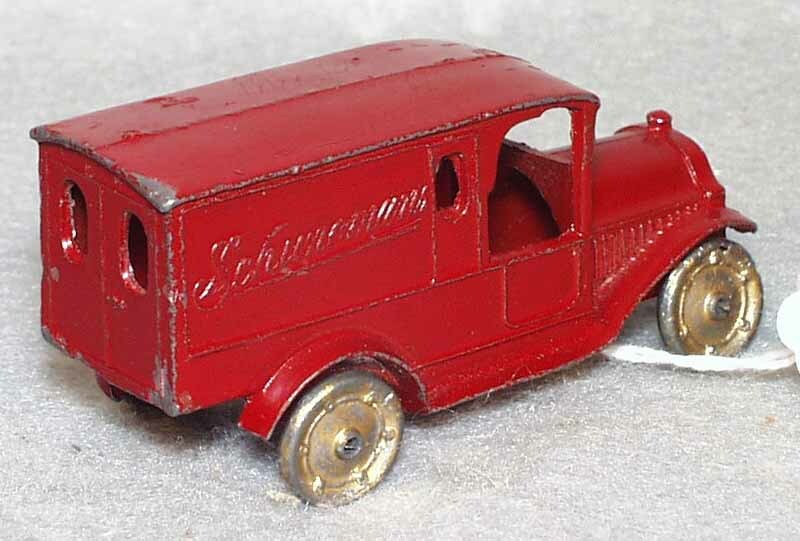 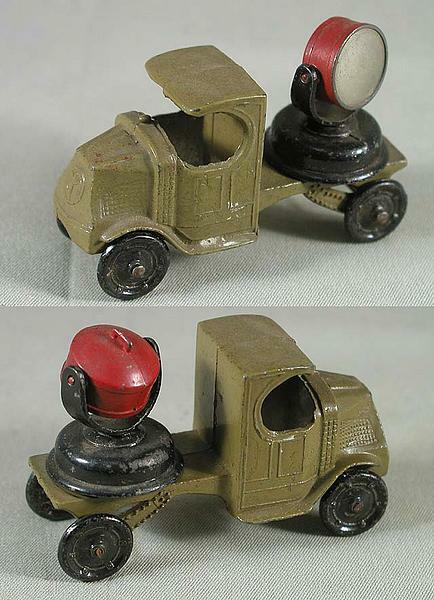 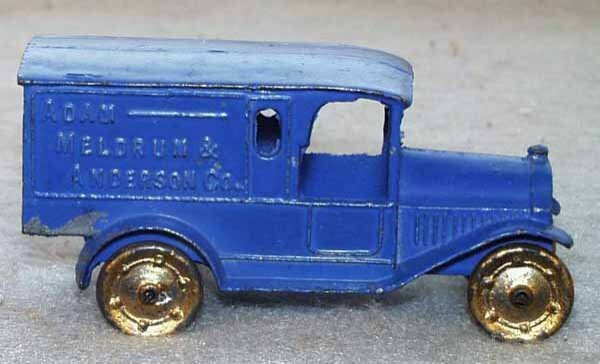 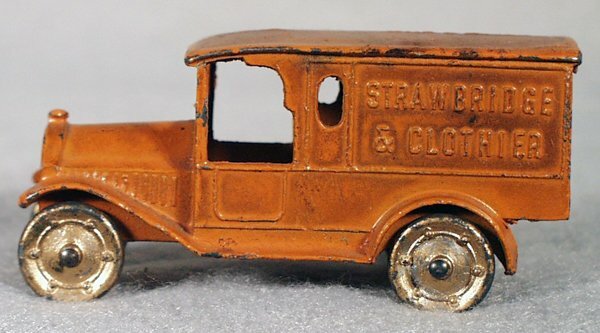 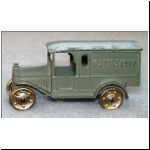 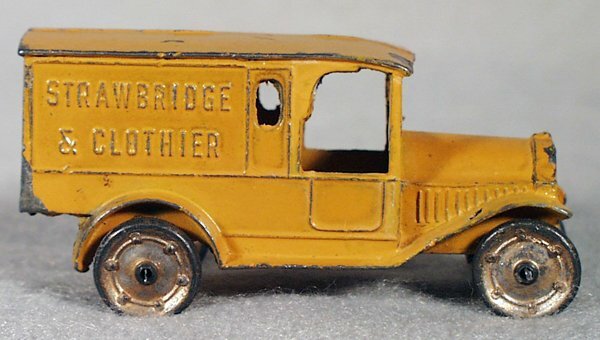 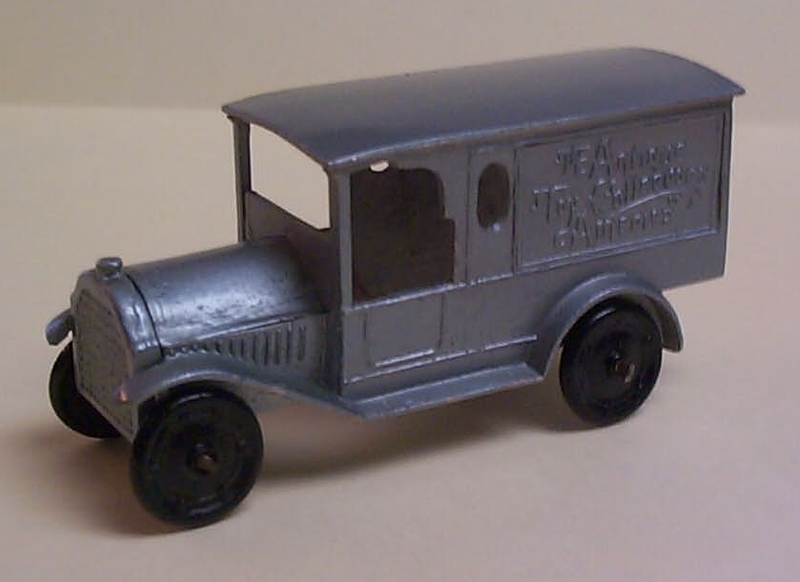 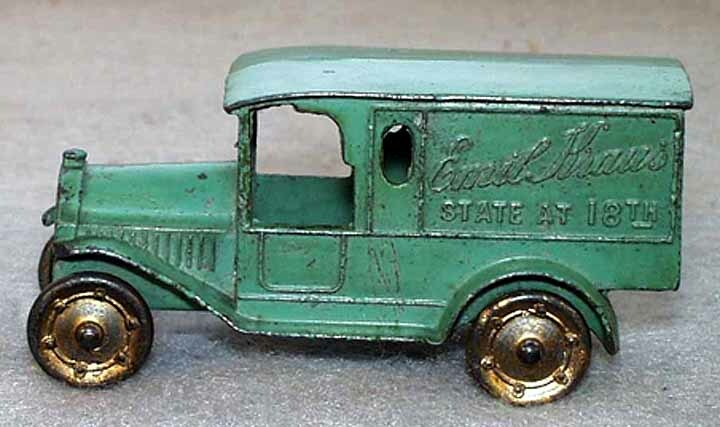 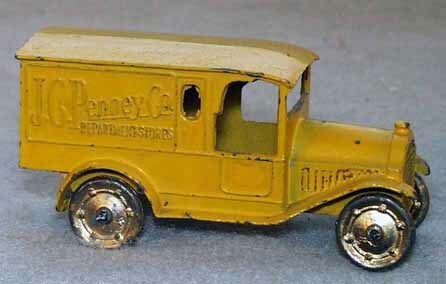 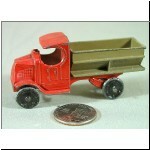 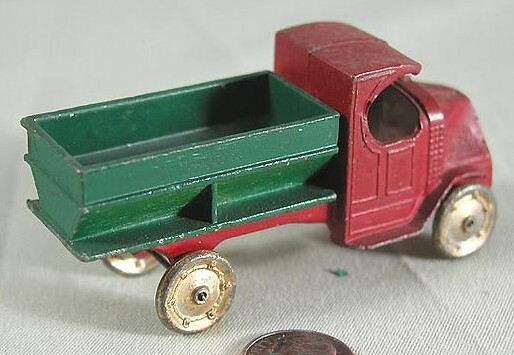 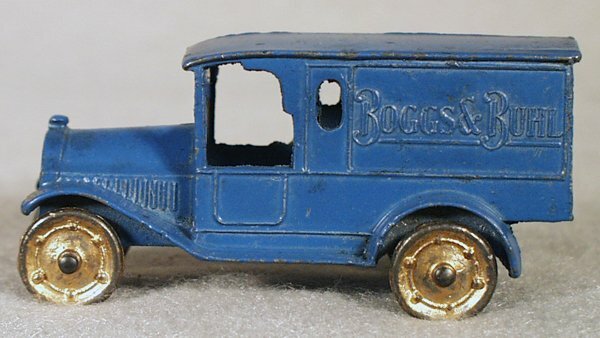 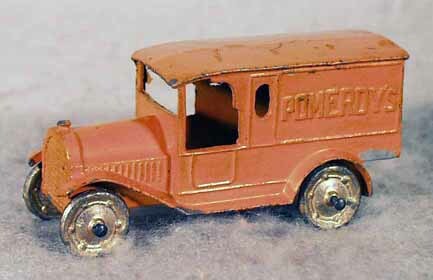 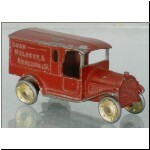 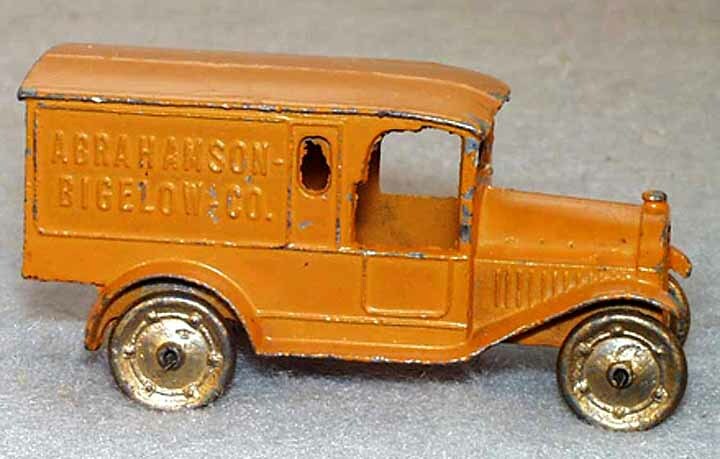 Along with a number of other Tootsietoys, the Federal Van was copied by Johillco in London, England from 1932. 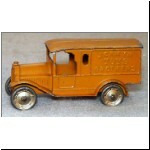 The Johillco version had plain side panels and was marked MADE IN ENGLAND underneath.. 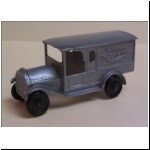 This truck was also used to make up special custom versions with the names of various department stores cast in the side panels. 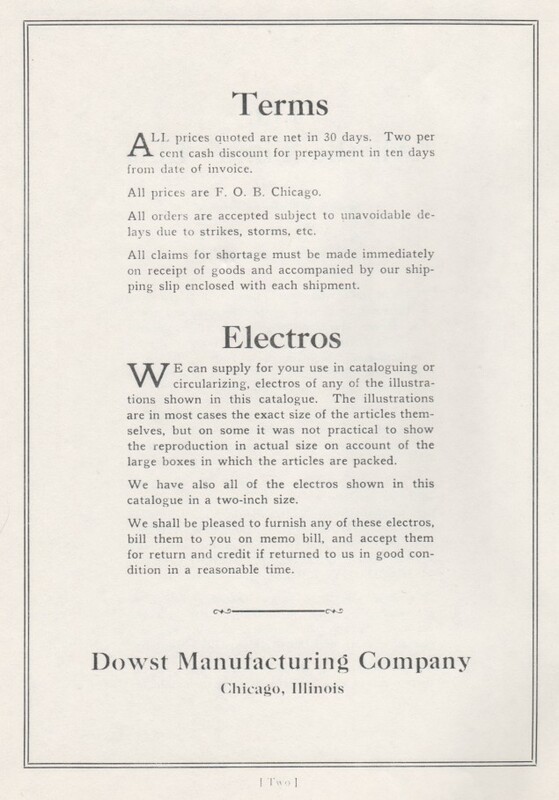 Among those I am certain of are BOGGS & BUHL, POMEROY'S, WATT & SHAND, STRAWBRIDGE & CLOTHIER, J.C.PENNEY CO. DEPARTMENT STORES and HOCHSCHILD, KOHN & CO. 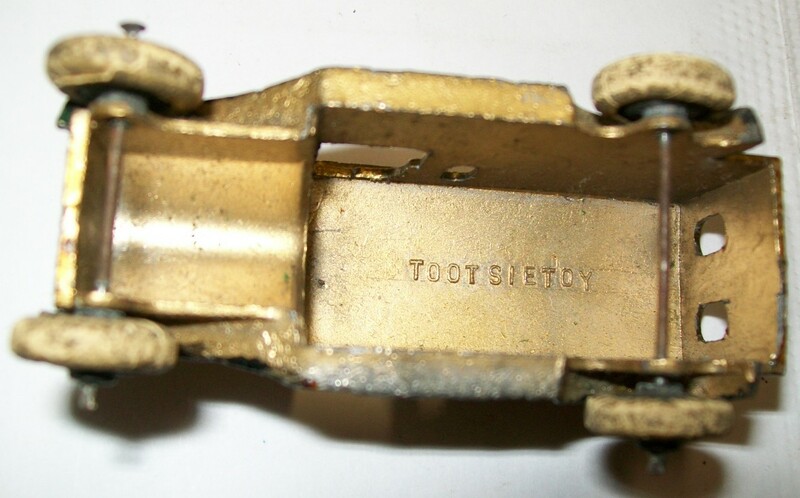 The last was cast with a flat panel and the name applied with a decal transfer, but all the others were cast in, some with the name picked out in gold or other contrasting colour. 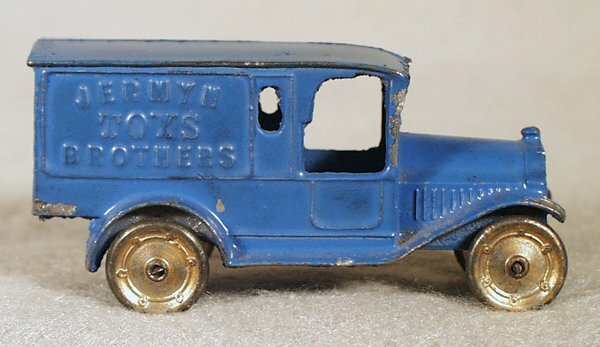 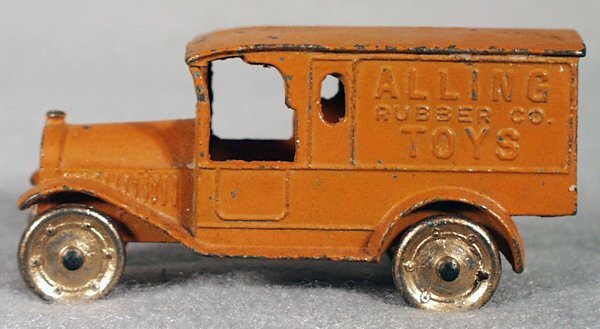 A version has turned up with U.S.MAIL on the side, and others now confirmed to exist are: ABRAHAMSON-BIGELOW-CO., ADAM MELDRUM & ANDERSON CO., ALLING RUBBER CO. TOYS, L.BAMBERGER & CO., COFFEY'S TOYLAND (thanks to Mark Soule for confirming this one), JERMYN BROTHERS TOYS, EMIL KRAUS STATE AT 18TH, McLEAN'S TOY STORE and SCHUNEMAN'S/MANNHEIMER BROS. INC., the last having different names on each side for two stores belonging to families which had been united by marriage (ref.1). 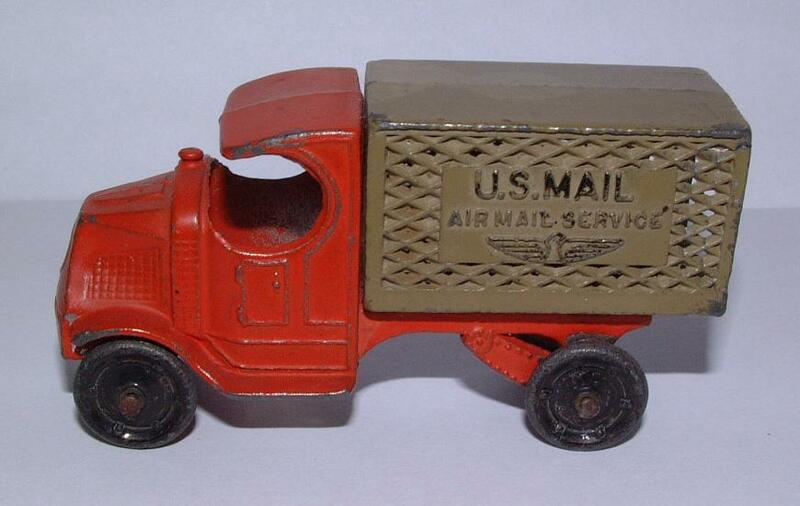 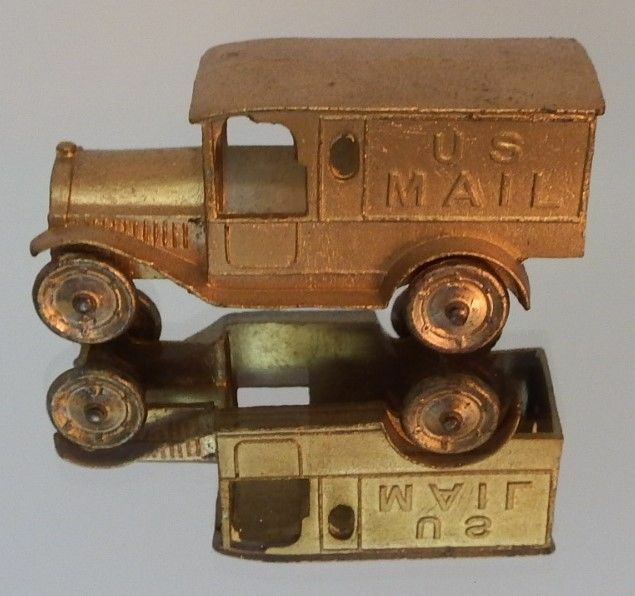 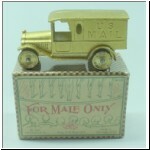 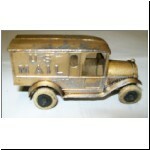 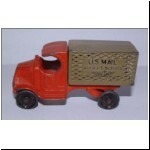 The U.S.MAIL van was marketed by H.Fishelov & Co. as a "joke" gift and the box is dated 1927. 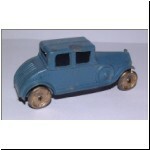 An example with rubber tyres has turned up, which must date from 1933. 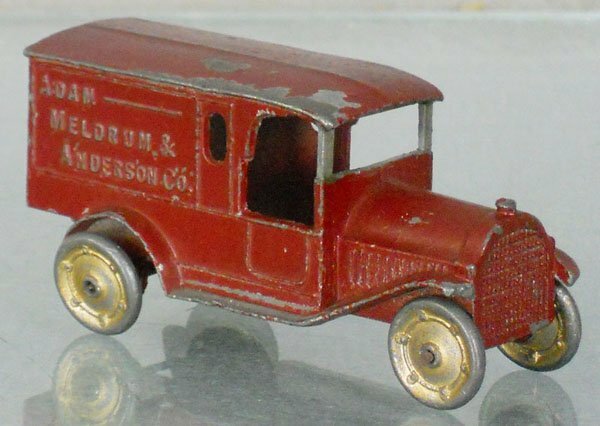 The McLEAN'S van was for a department store in Binghamton, who later also commissioned a version of the camelback Ford van (see part 6). 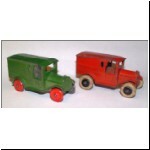 Thanks to Steve Butler for information and photos about these two vans. 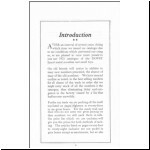 The following paragraphs and table have been compiled from Clint's drafts of three articles on the subject (refs.1, 8 & 9). 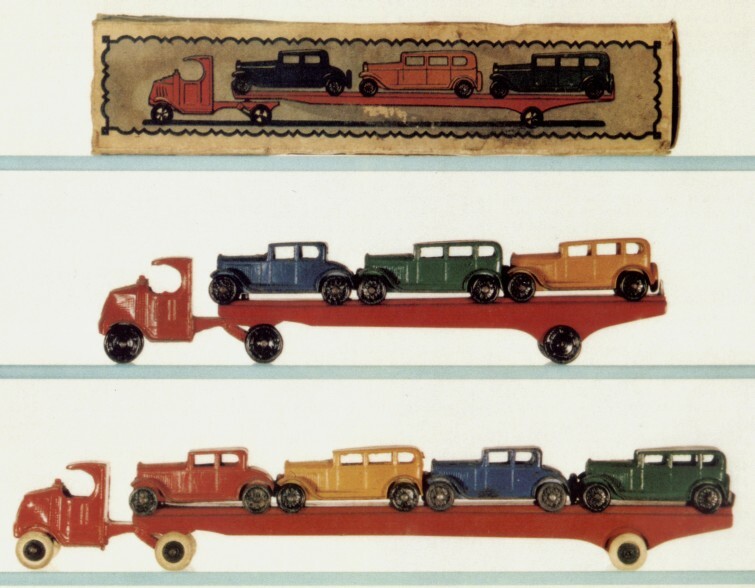 This is an historic photograph, the fourteen trucks shown never having been together in one place before (or, I dare say, since). 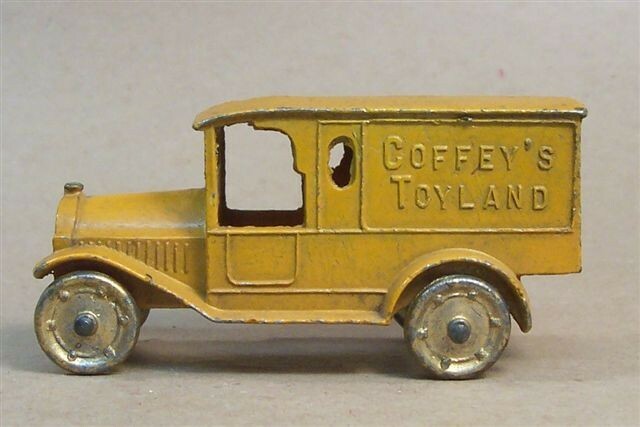 (The Coffey's and McLean's trucks are omitted). 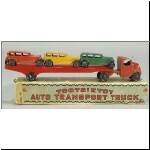 One of the trucks was only obtained on loan after deposit of a cash security bond well in excess of its value. 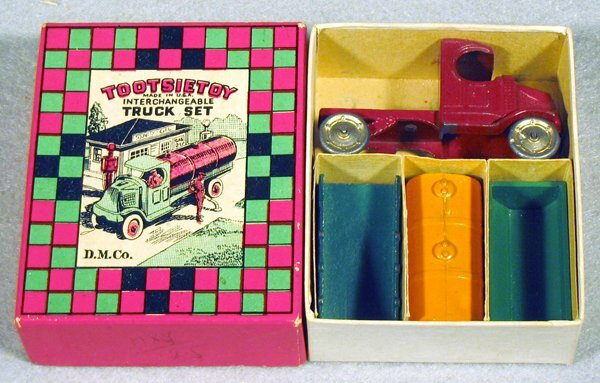 In the fourth row, the model at the right is a flat photograph of the other side of the truck immediately to the left, this being the one bearing two different names. 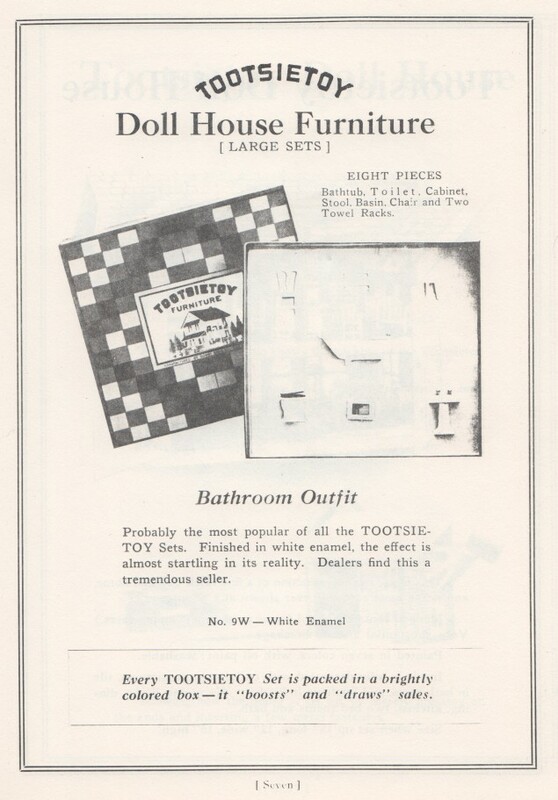 The photo was taken for Clint's 1984 article (ref.1). 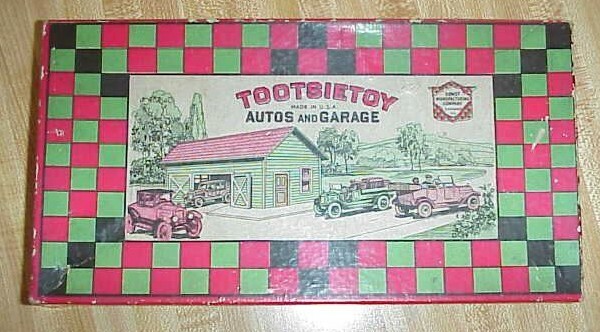 A store in Jamestown, NY. 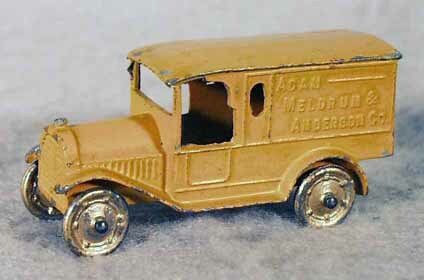 ADAM, MELDRUM & ANDERSON CO.
A store in Buffalo, NY. 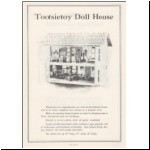 A store with branches in NY and CT.
A store in Newark, New Jersey. 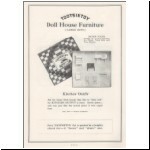 A department store in Charleston, West Virginia. 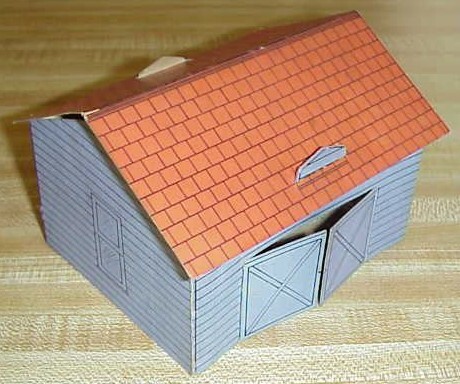 A store in Baltimore, MD. 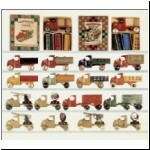 A store in Scranton, PA.
A store in Erie, PA. 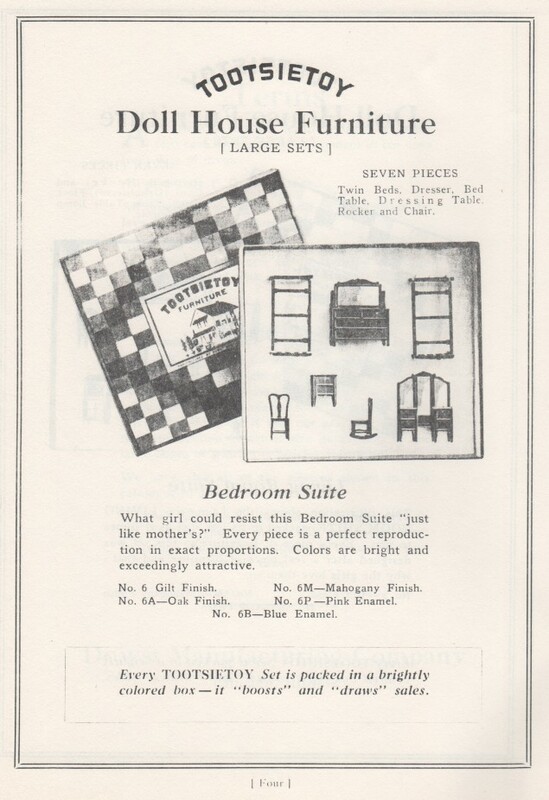 It was at the address quoted (State St./18th St.) in 1926 only. 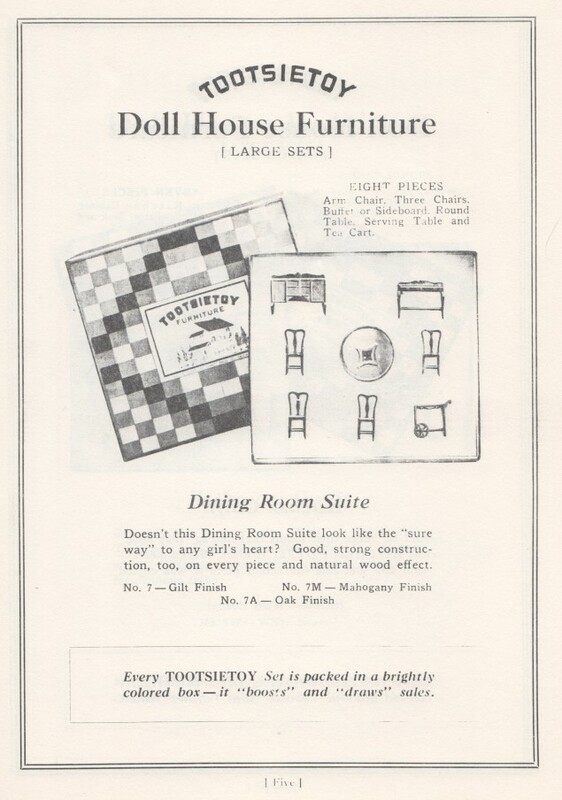 A department store in Binghamton, NY. 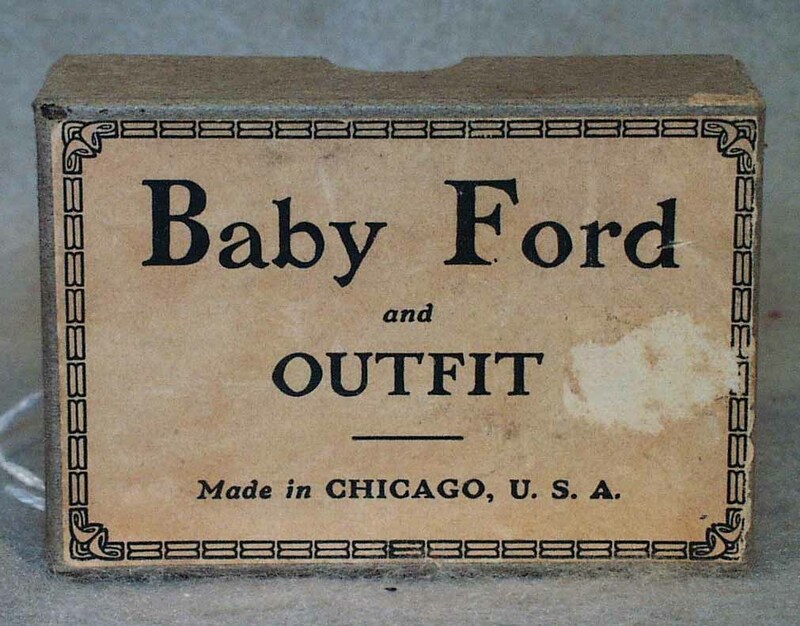 A store in New York. 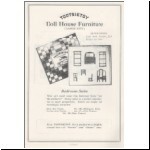 A department store in Harrisburg, PA.
Two department stores in St.Paul, MN. 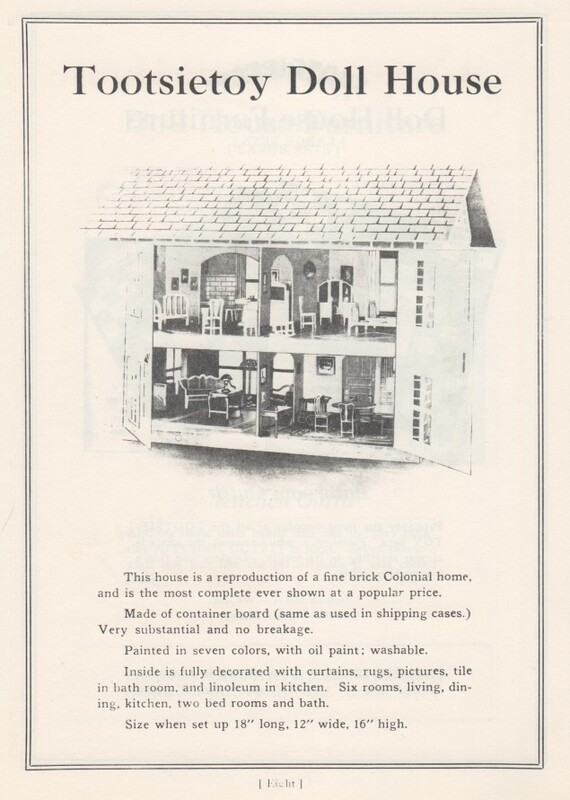 A store in Philadelphia, PA. 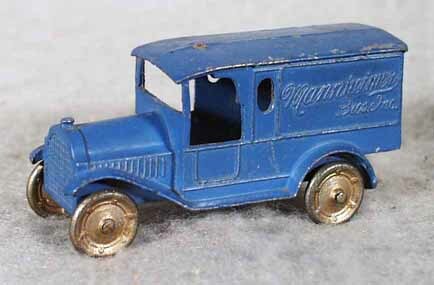 Marketed by H.Fishelov & Co.
A store in Lancaster, PA.
*The Wieland & Force book stated Philadelphia (ref.10) but I am certain that was an error. 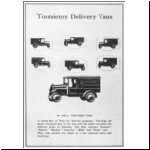 Most if not all of the special store vans were sold by Mr.Rollo Ballenger, who ran the New York office of the Dowst Manufacturing Company for many years. 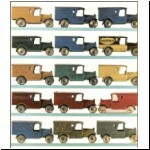 He did not drive a car, and went only to cities easily reached by train from New York. 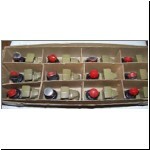 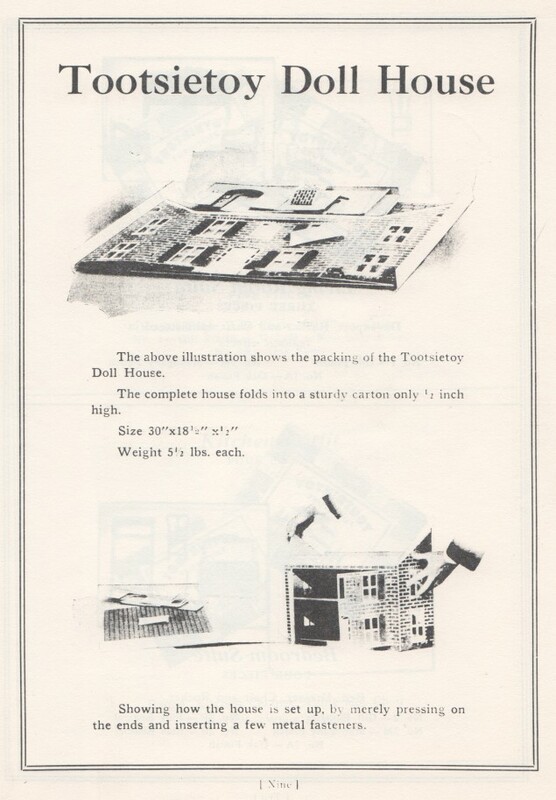 The minimum order was 5,000 pieces, which was also the commonest order. 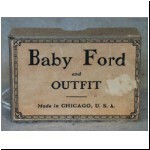 Most stores used them for promotional purposes, as a gift from their store Santa at Christmas time or as a premium with a pair of boy's shoes, and so on. 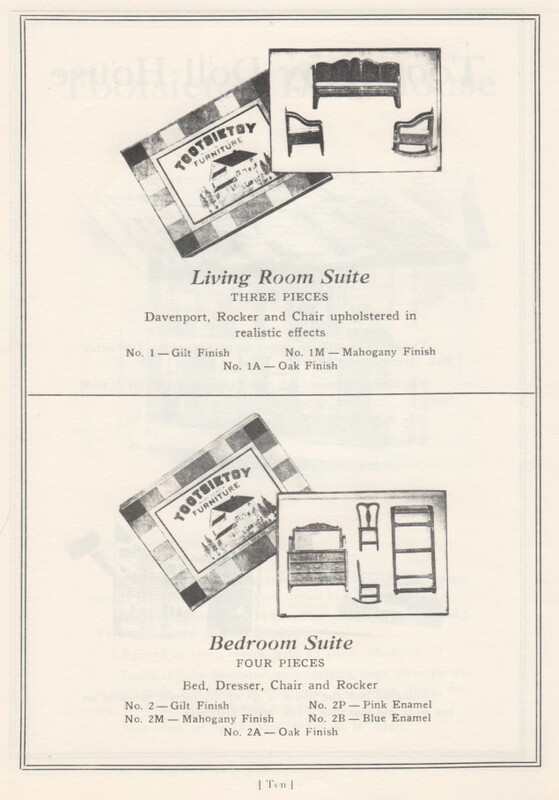 J.C.Penney is said to have ordered 50,000 and sold them in their New York store for 9 cents, a penny under the usual price for the standard versions. 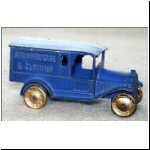 Some have changed hands in recent years for prices somewhat higher! 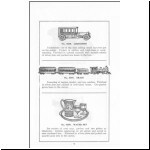 Versions recalled by various witnesses but as yet unconfirmed are: J.N.ADAMS CO., BON MARCHE, SMITH & WELTON, JORDAN MARSH & CO., HENGERER'S, BAKER'S CHOCOLATE, and R.H.MACY. 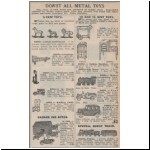 Some of these may have been in the later 1936 "camelback" truck, and there may yet be others not listed here. 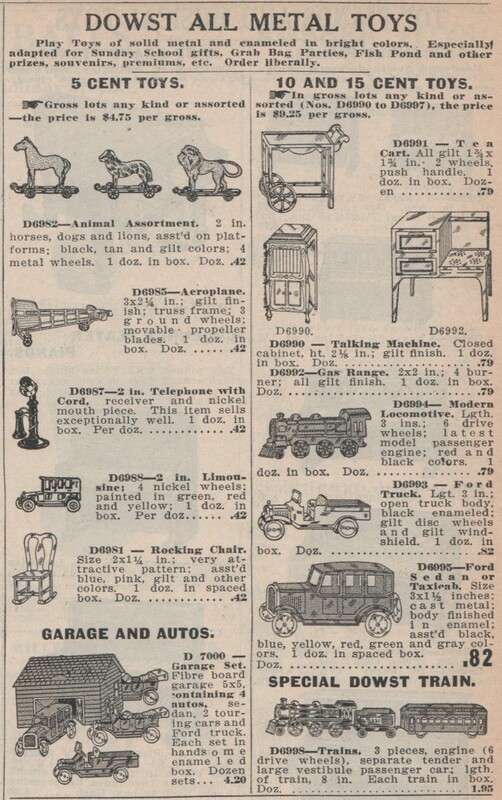 If any readers find some of these lying about, they are invited to send them promptly to me for examination, entry on the "verified" record, and safe-keeplng. 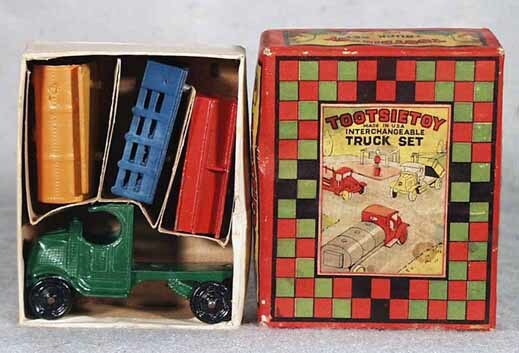 The nagging uncertainty of just how many different ones there were will forever protect collectors from the anti-climactic let-down of knowing they have a complete collection of Tootsietoys. 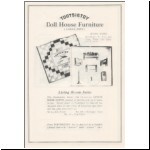 Others reported by John Gibson are DOUBLE L LAUNDRY (in red), NEW WAY LAUNDRY PHONE 1900, WALKER'S TOYLAND (in grey), and a version with TOYS DOWST BROS.CO.CHICAGO on one side and LAUNDRY on the other (in red). 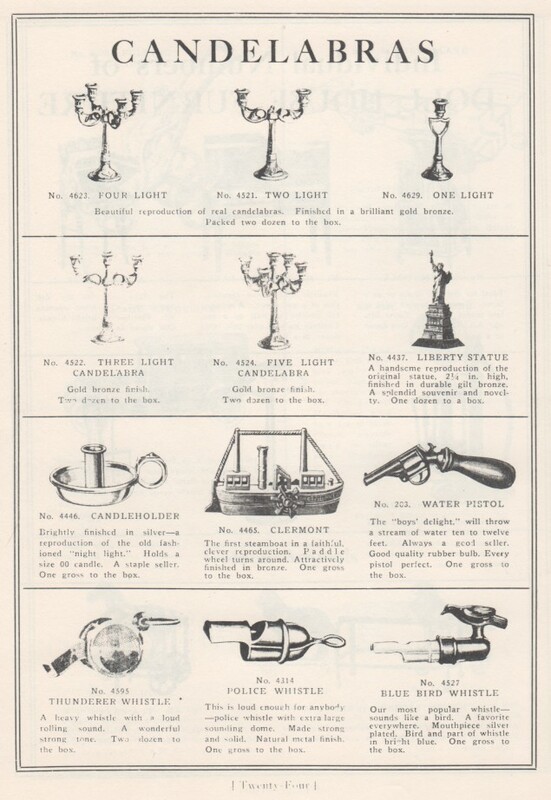 However I have yet to see photographic evidence of any of these. 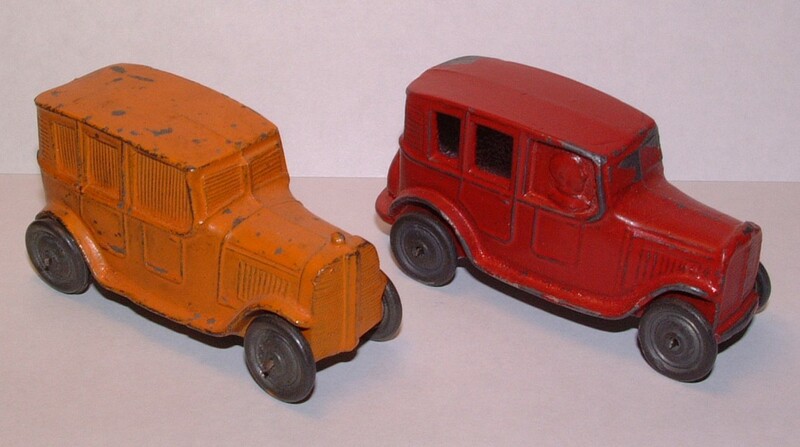 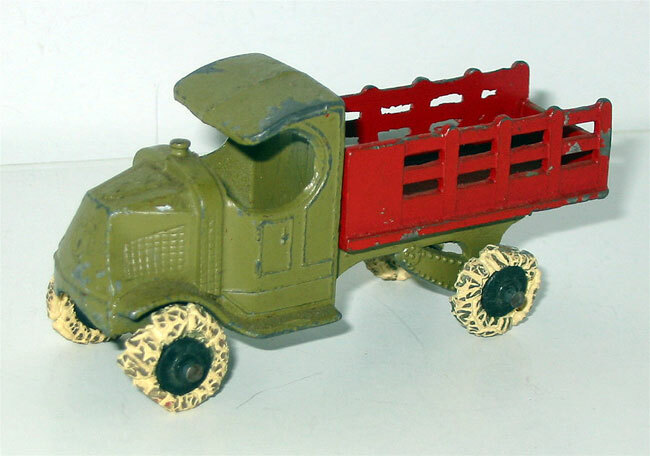 There have been various modern copies of pre-war Tootsietoys, but worth mentioning here are three versions of the Federal van which were commissioned by Clint Seeley in 1976 and made in England by ABS models. 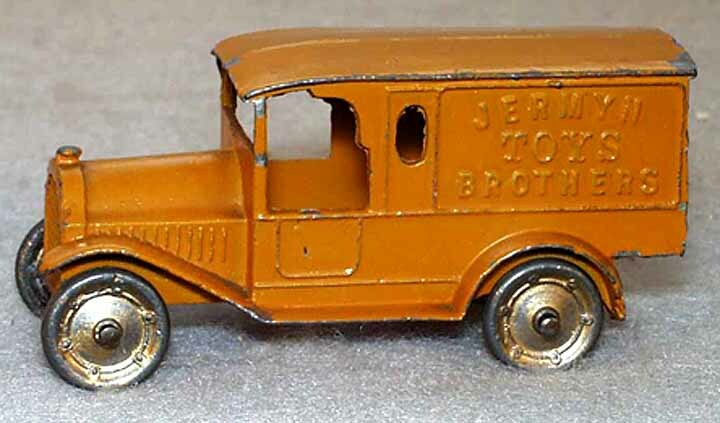 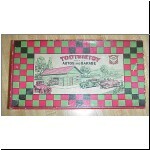 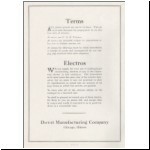 Illustrated in the first photo are two of these - "Dowst Bros.Co.Chicago Toymakers" and "American Museum of Automotive Miniatures Andover Masstts." 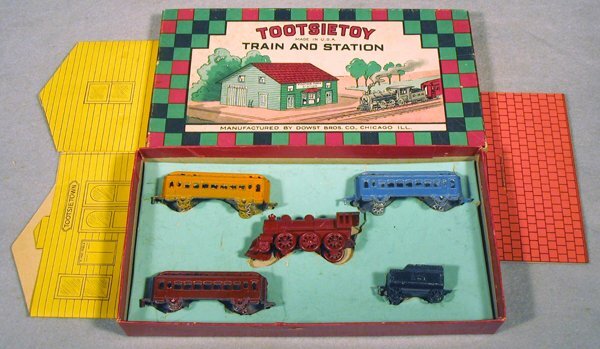 (this was Clint's name for his toy collection). 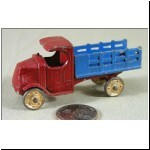 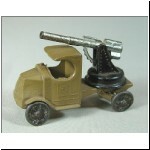 In the second photo is the version for "Antique Toy Collectors America". 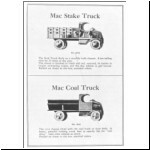 1924 or 1925 also saw the introduction of three "Mac" trucks, both singly (nos.4638, 4639, 4640) and in a boxed "Interchangeable Truck" set (no.170), featuring a single chassis and three interchangeable bodies: stake, coal and tank. 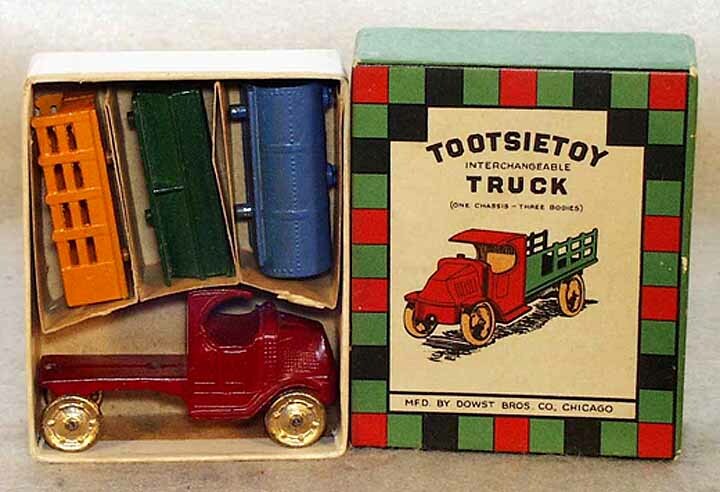 These were 313/16 inches long and, as first issued, had smooth fronts and no drive chain at the rear, and no door handles or hinges. 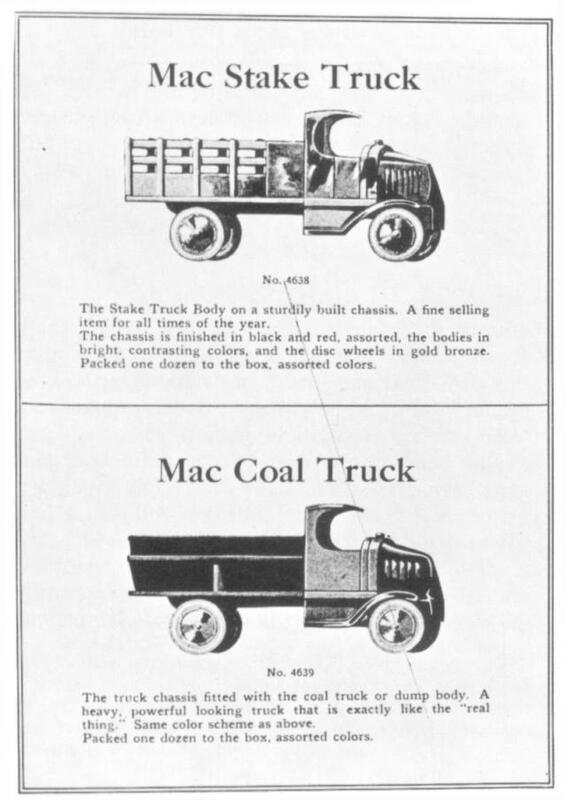 They were issued after about 1927 with the "M" emblem of Mack on the front, door detail, and with the chain drive depicted in front of the rear wheels. 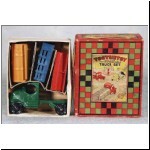 The interchangeable set also showed changes on the box cover illustration. 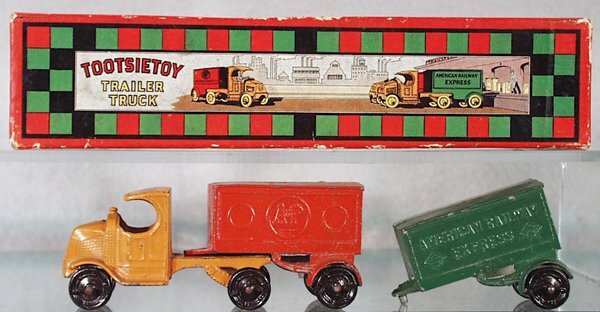 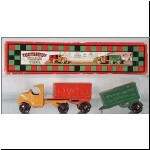 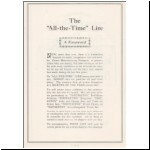 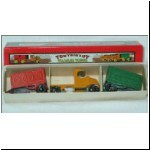 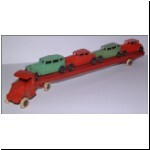 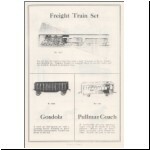 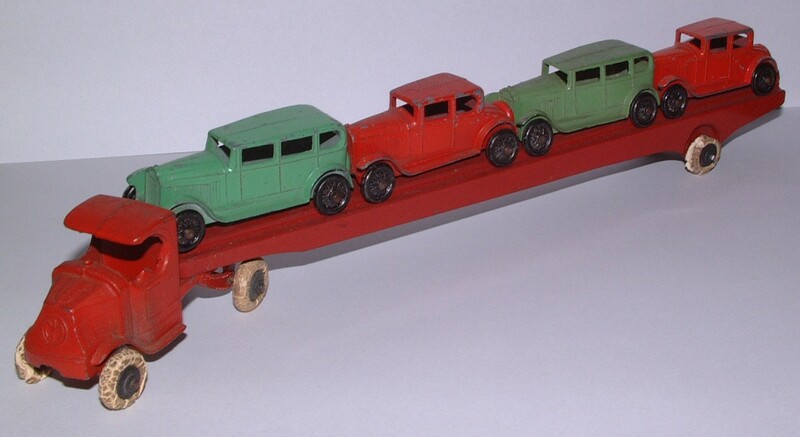 In 1929 (see the Butler Bros. leaflet in part 4), two more trucks joined the Macks, semi-trailers using the same chassis, and marked AMERICAN RAILWAY EXPRESS and A.& P. These were apparently issued only as a three piece boxed set, the A.& P. trailer being red and the Railway Express being green. 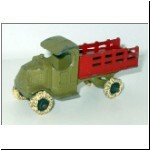 The single tractor could be either, or a different colour, often dark yellow (ref.1). In 1931, the fleet was joined bv a nice closed screen-side van, marked U.S.MAIL - AIRMAIL SERVICE (no.4645), a pair of military versions, AA gun and searchlight (nos.4643 and 4644) and by a long semi-trailer car transporter (no.190) bearing three small 1930 Buicks (more about them later). 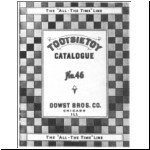 The 1933 through 1936 catalogues showed a no.190X with four Buicks, but few collectors I know have one of these on the shelf. 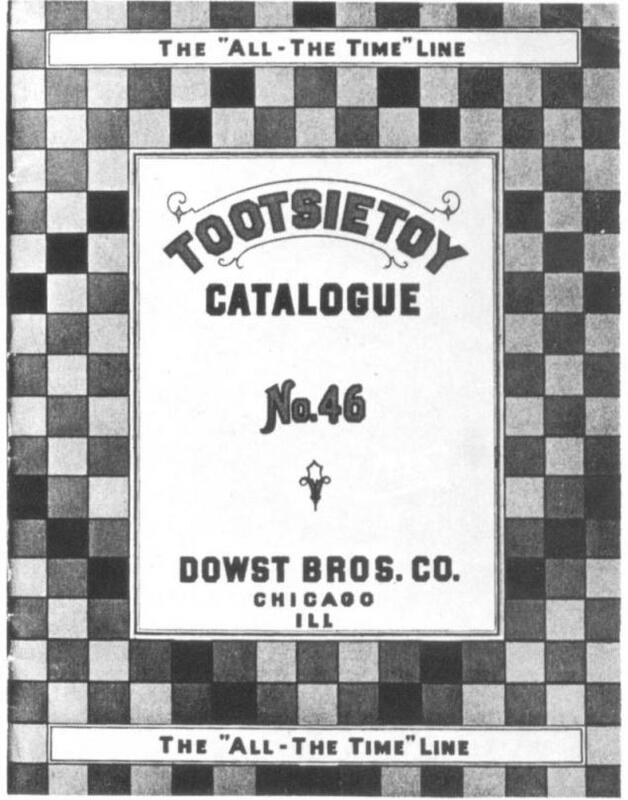 lt must have been a slow movlng sales dud to have been in the catalogue so long and yet be so rare today. 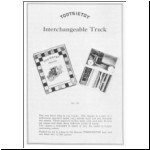 The tractor for the car transporters had a vertical post to which the stamped tin trailer attached, and no.190X had the metal hubs with rubber tyres that were offered on most of the 1933 line (ref.1). 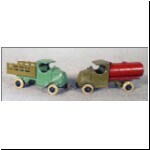 The two military versions seem to have been the most durable sellers, and did not disappear until after the 1941 catalogue. 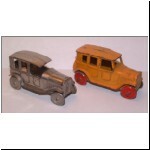 They can be found in a number of variations of paint and wheels, including disc metal wheels, rubber tyred hubs, and solid rubber wheels. 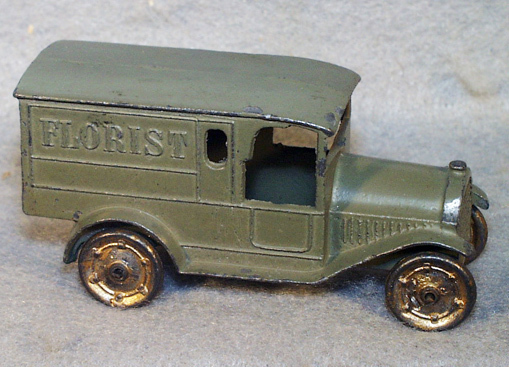 Though all have the "M" emblem on the front, they lack the door hinges or handles, and were evidently from a new die, having only a single hole in the centre of the rear platform (ref.1). 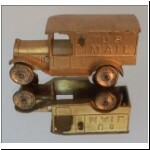 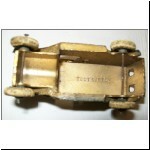 The same die was used for the car transporter tractors, with a changeable insert to make the vertical coupling post. 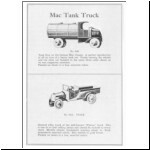 These trucks, sold in one form or another for almost twenty years, are all "first series" Macks, not to be confused with the tiny miniatures of 1931 or the big closed-cab versions introduced in 1933, both of which will be discussed a few months from now. 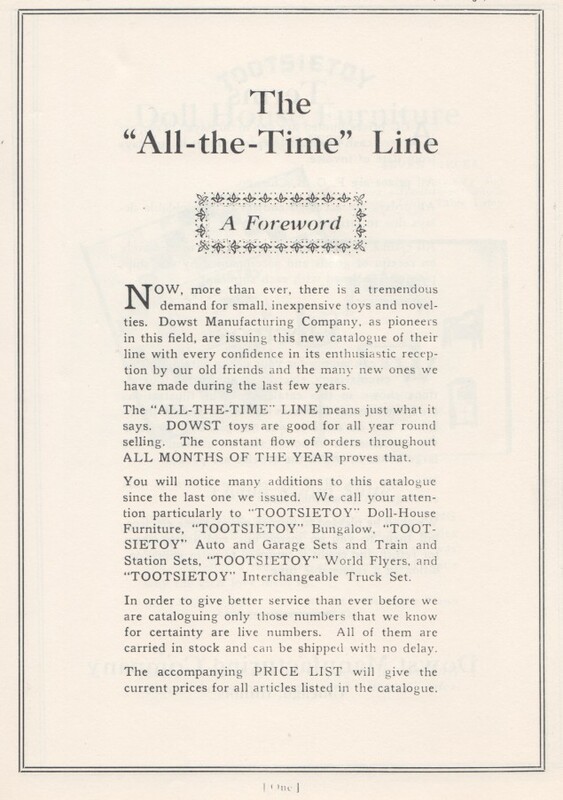 Next month we'll go back to releases in the years 1927-1930. 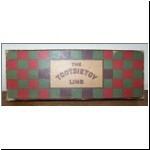 (2) "To Tell the True T.T." 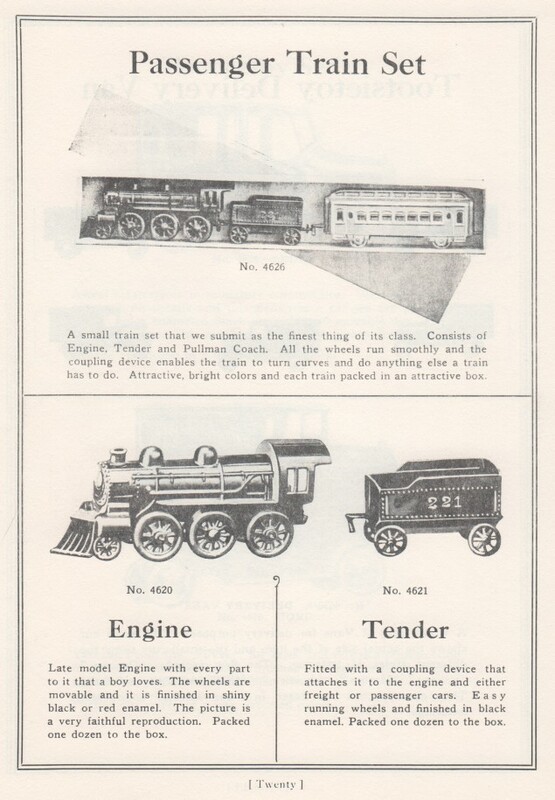 in Modellers' World magazine, Vol.10 no.4 and Vol.11 no.1, July and October 1981. 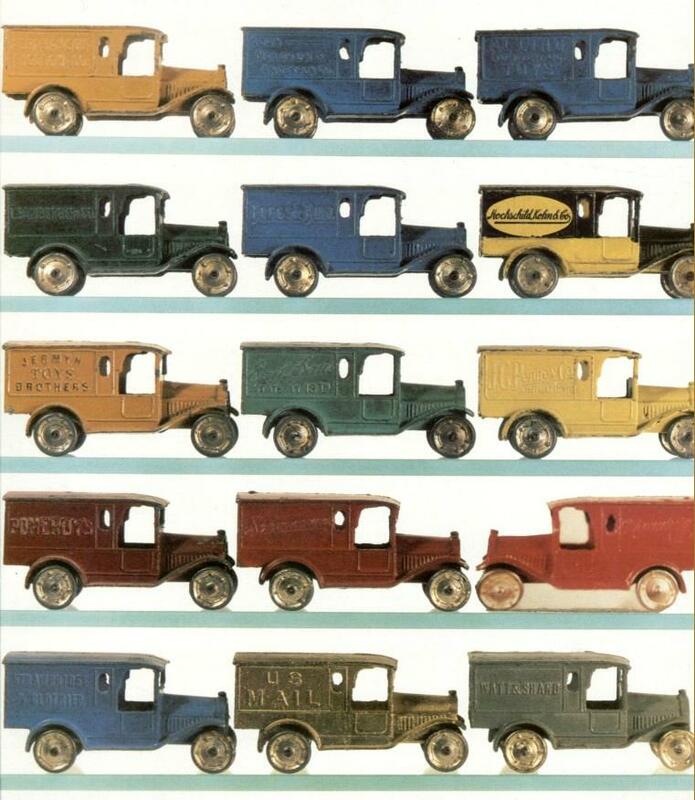 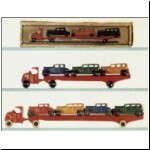 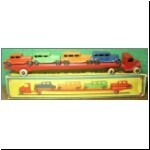 (6) Collecting Toy Cars & Trucks by Richard O'Brien, Krause Publications, 2nd edition 1997. 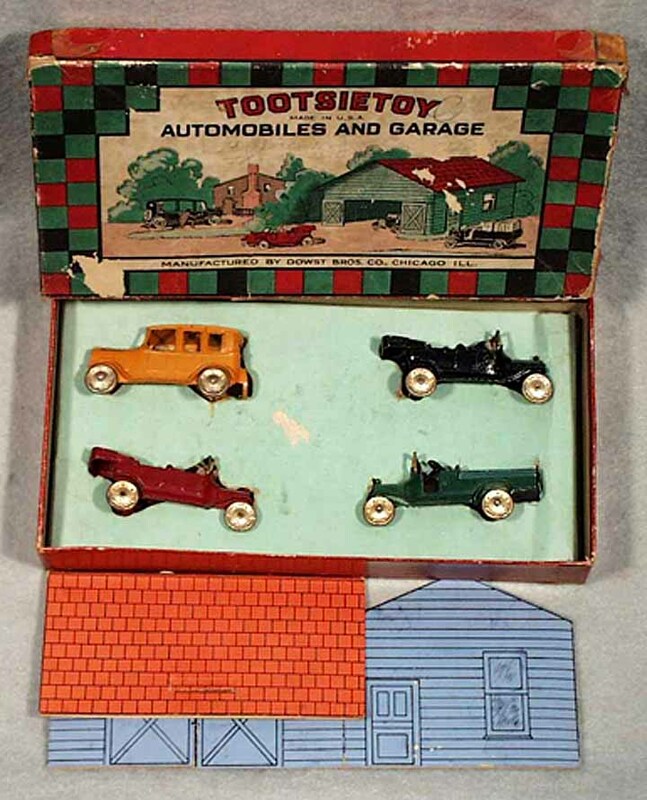 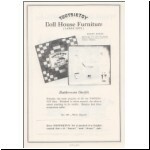 (7) "When Tootsietoy Set the Pace" in Miniature Auto magazine, February 1968. 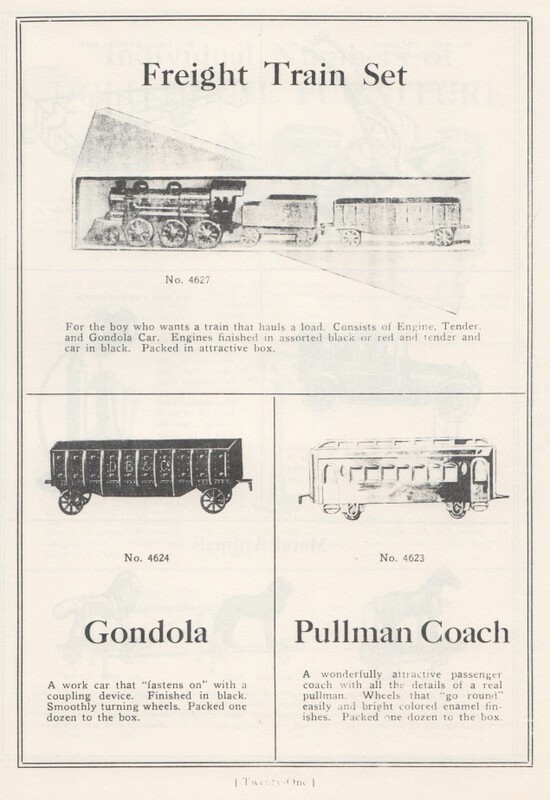 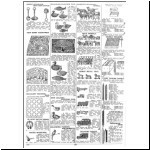 (8) "Store Federals" in Antique Toy World, Vol.4 no.2, February 1974. 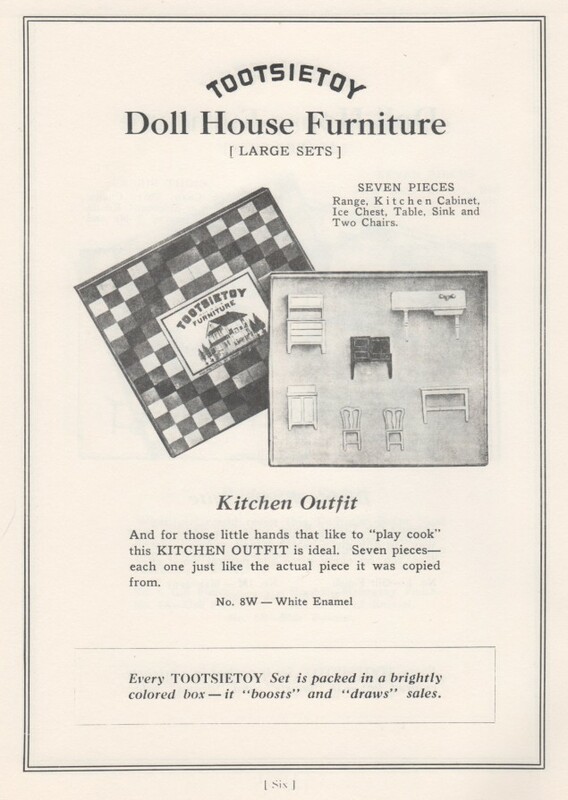 (9) "Store Federal Update", probably published in Antique Toy World in the early 1980s. 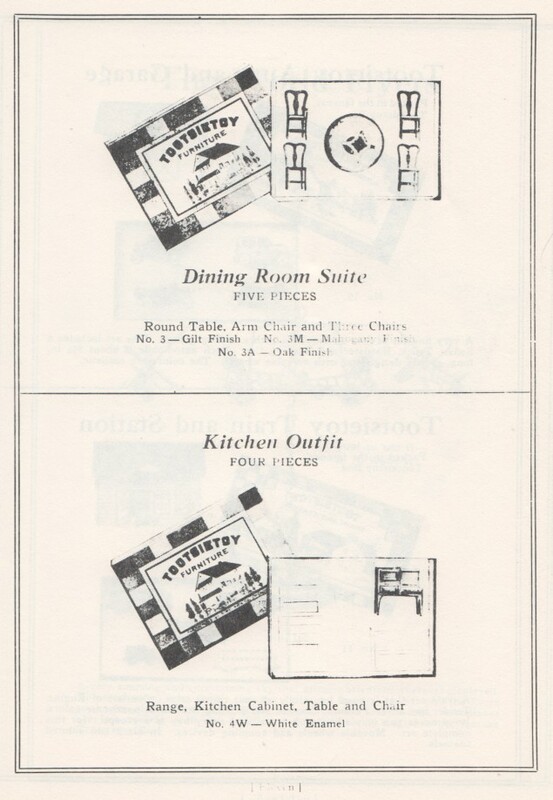 Publishers & Wholesalers Inc., Osceola, Wisconsin, 1980.